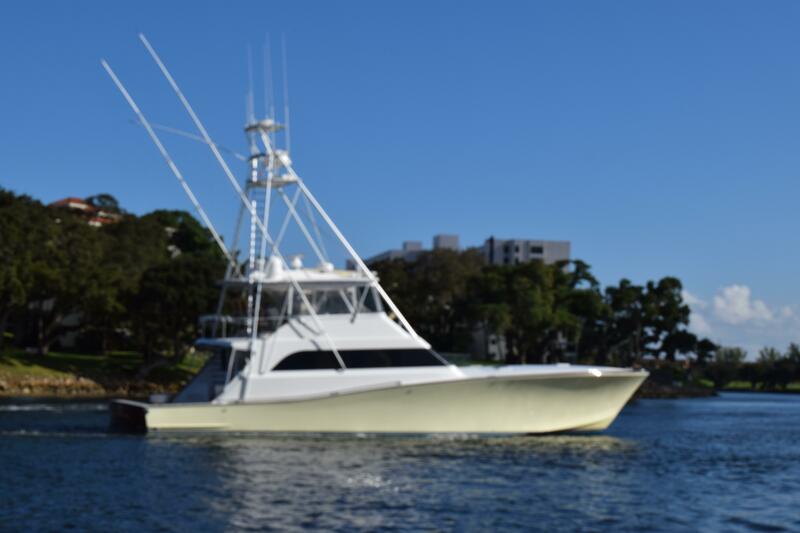 2005 American 72' Custom Sportfisherman "Solivia Rose"
This 2005 AMERICAN CUSTOM YACHTS 72' SPORTFISH - SOLIVIA ROSE is a 4 stateroom 4 head with 16V2000's that provide 31 KT cruise. 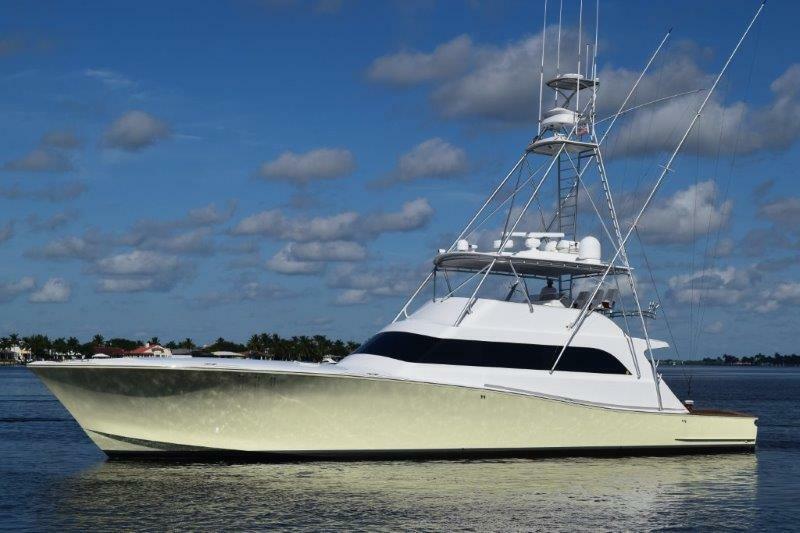 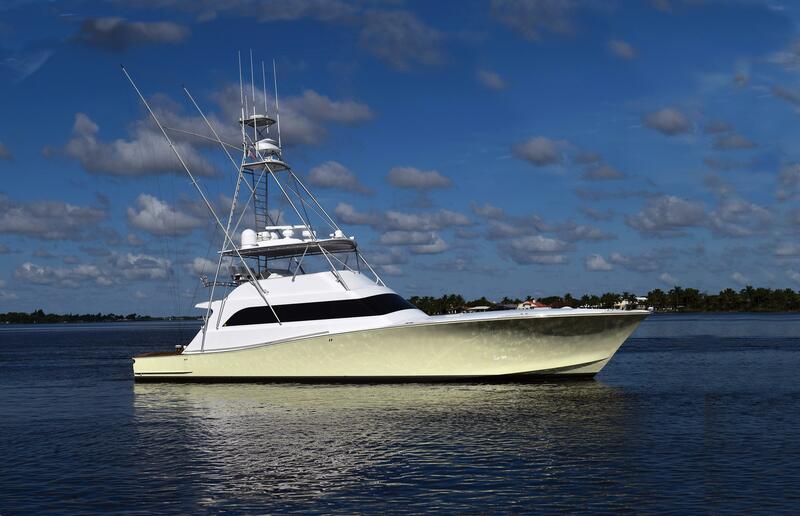 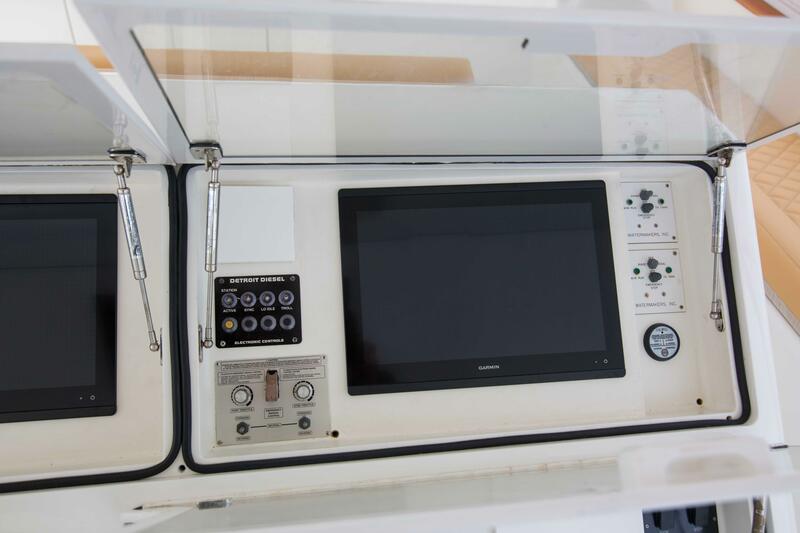 SOLIVIA ROSE is a high pedigree CUSTOM SPORTFISH ready to travel to remote destinations or compete at the highest level on the tournament circuit. 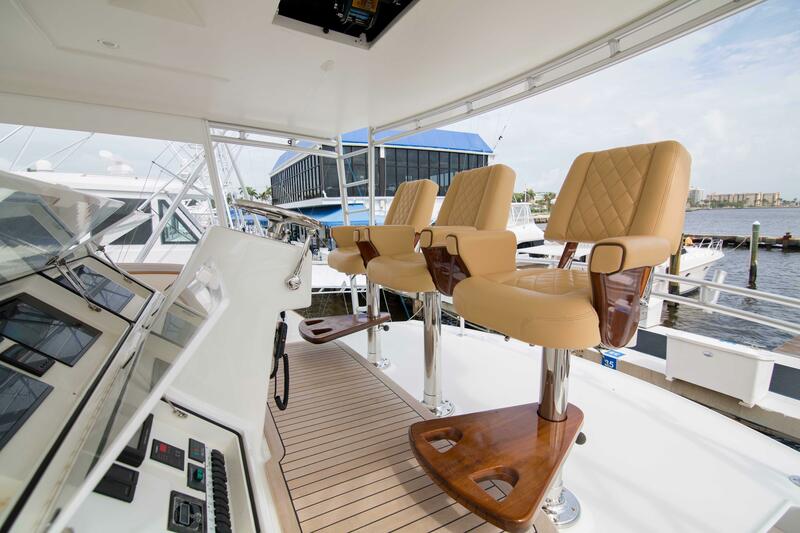 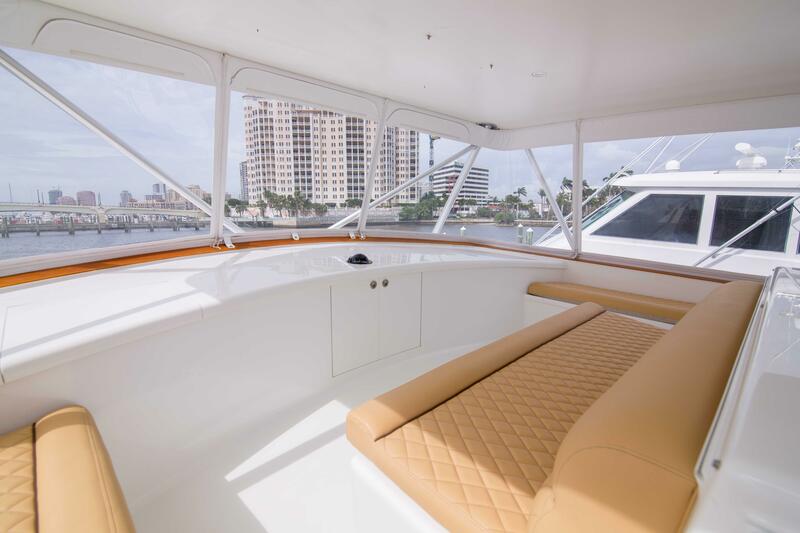 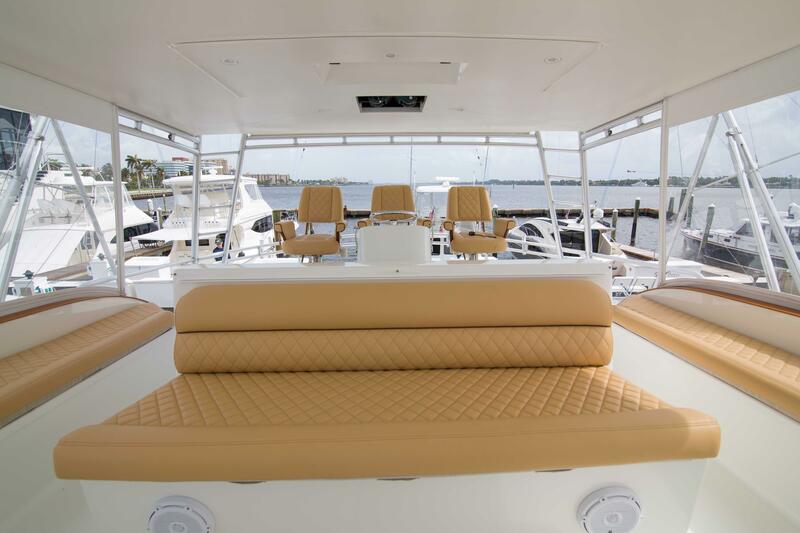 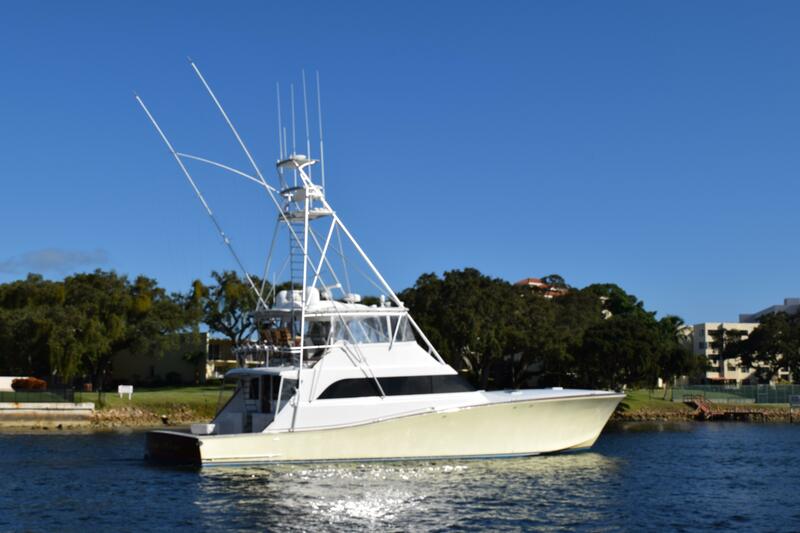 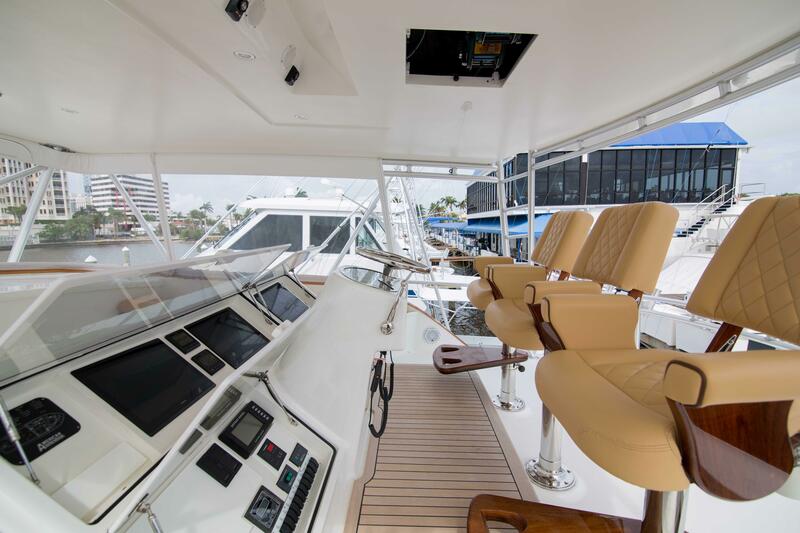 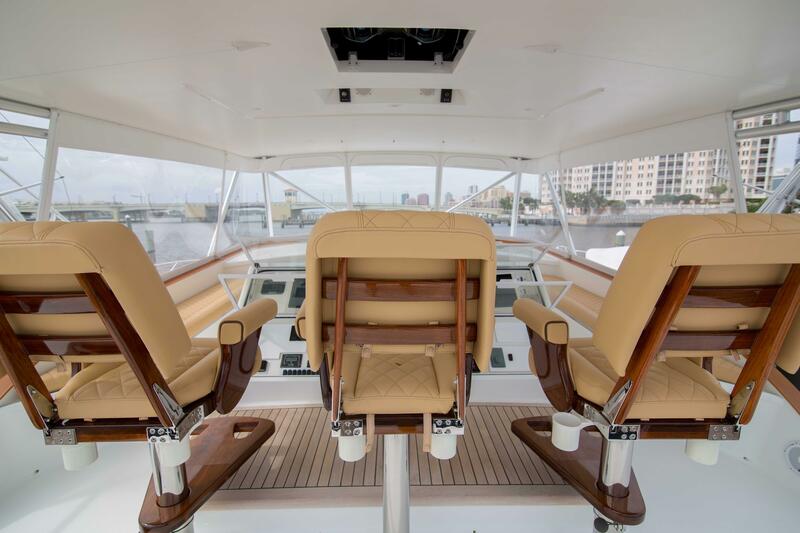 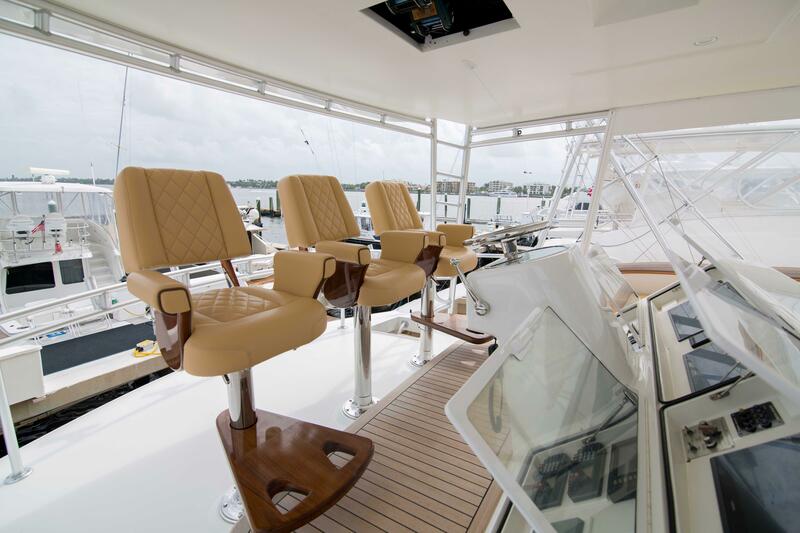 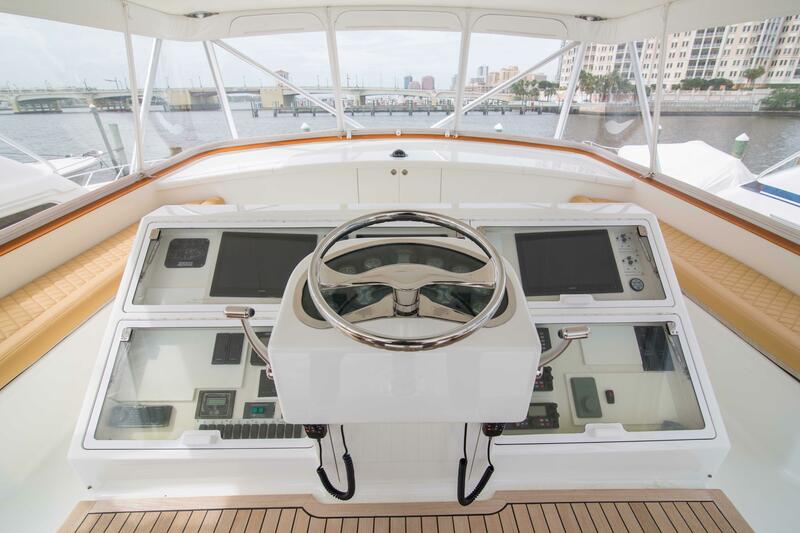 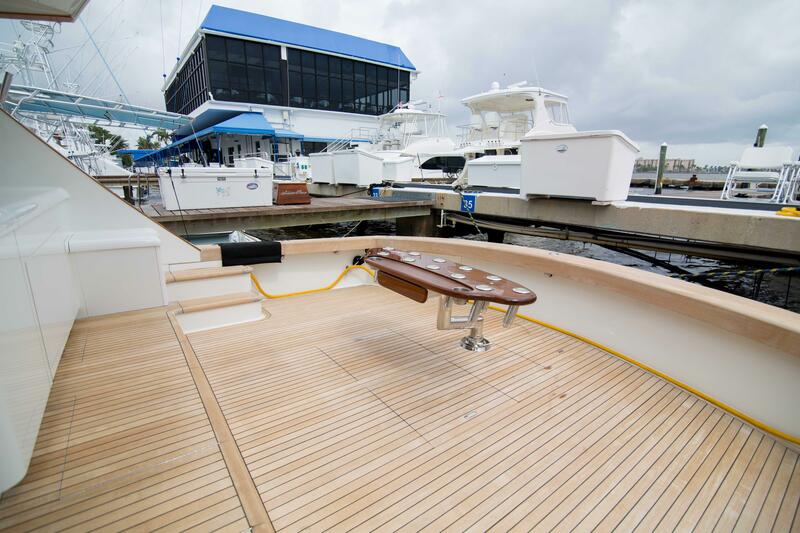 This 2005 AMERICAN CUSTOM 72' SPORTFISH has had a vast amount of refit work done at AMERICAN CUSTOM in May 2018. 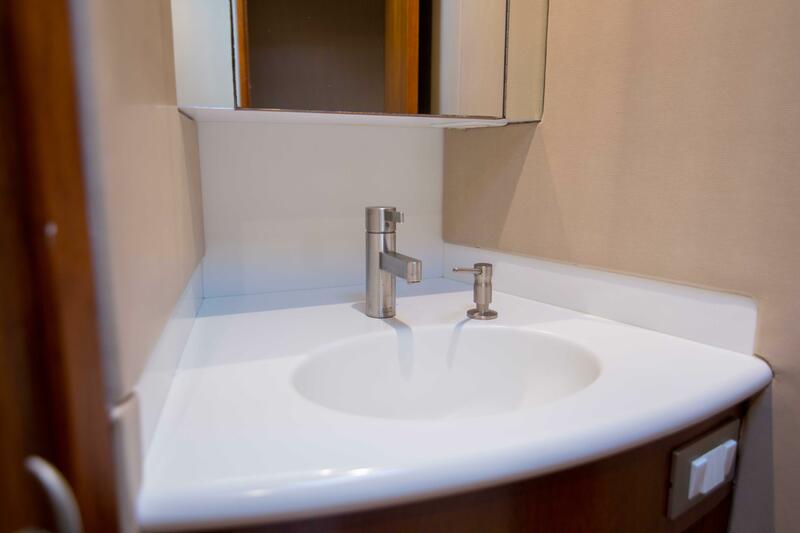 The work was overseen by her highly knowledgeable owner. 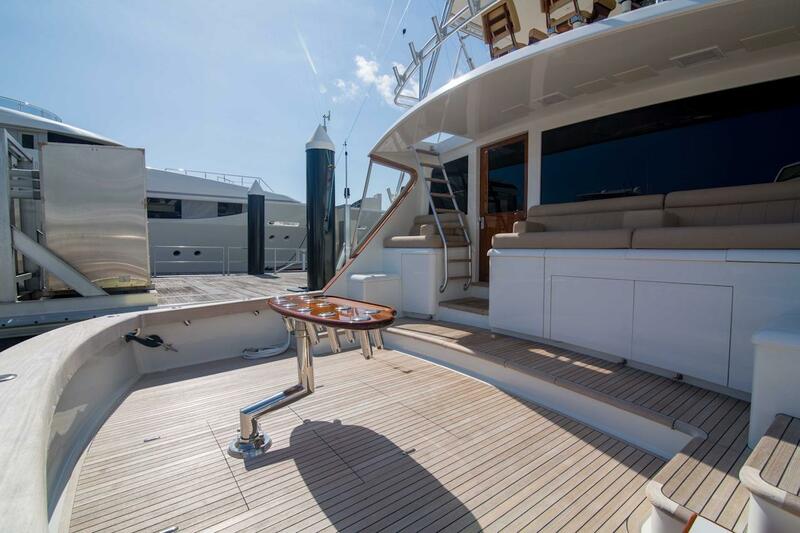 SOLIVIA ROSE is now a work of art with tremendous range and capabilities for the most discerning buyer. 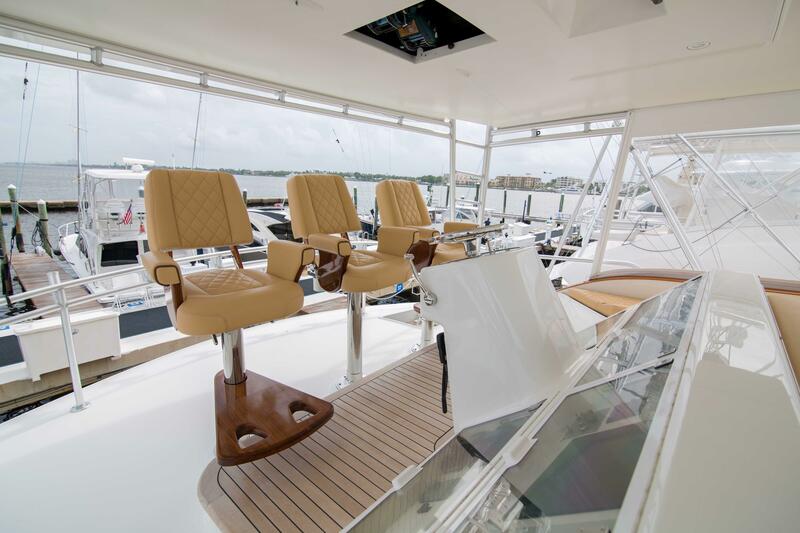 Upon stepping off the Dock into the Tournament size Cockpit you get a feeling of a bigger Boat than 72ft. 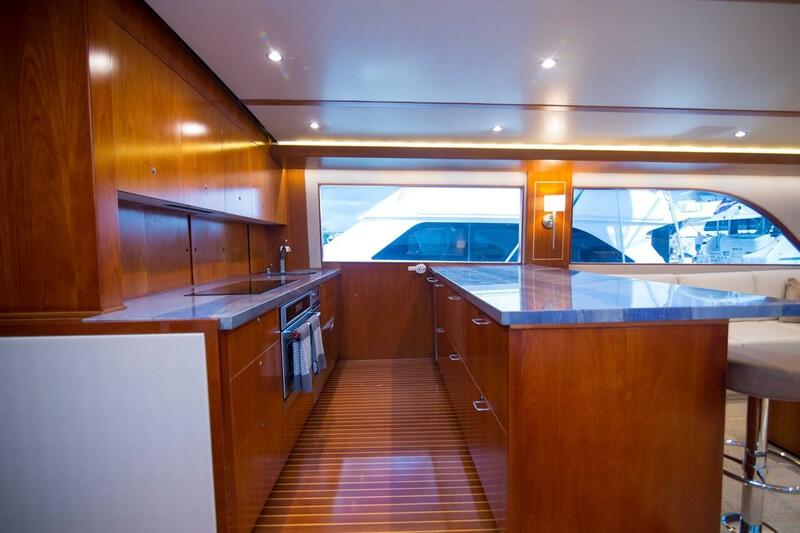 She has an Air Conditioned Mezzanine that has huge amounts of Refrigeration and Freezer space. 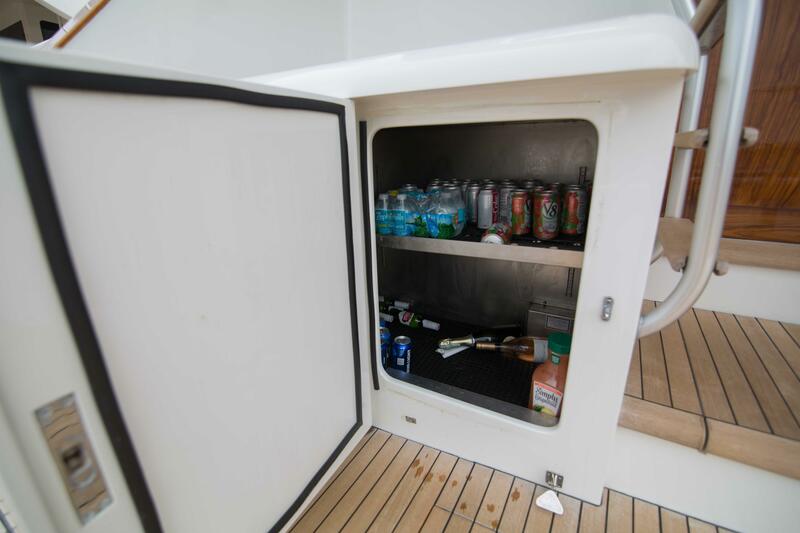 There is also a large in Deck Fishbox behind the all Teak Tournament Rocket Launcher. 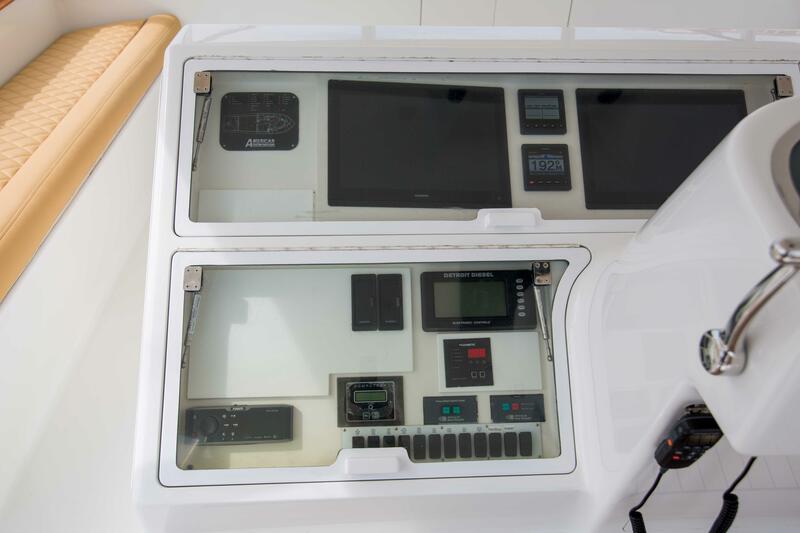 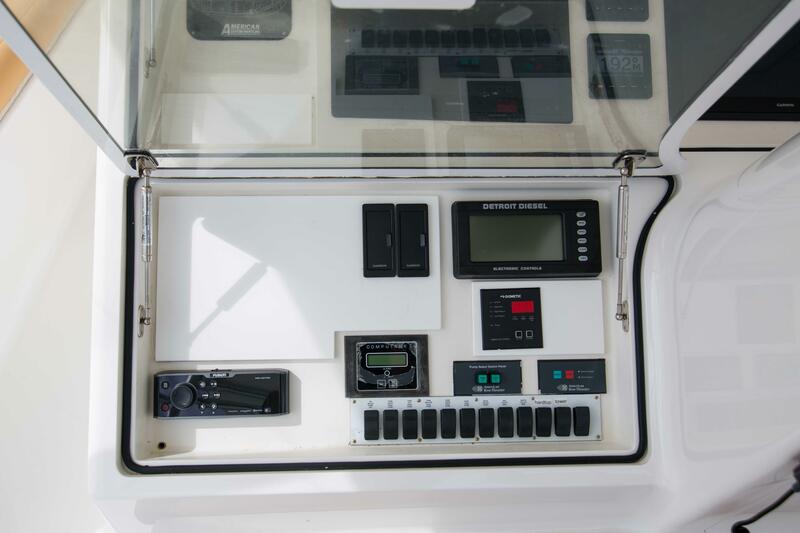 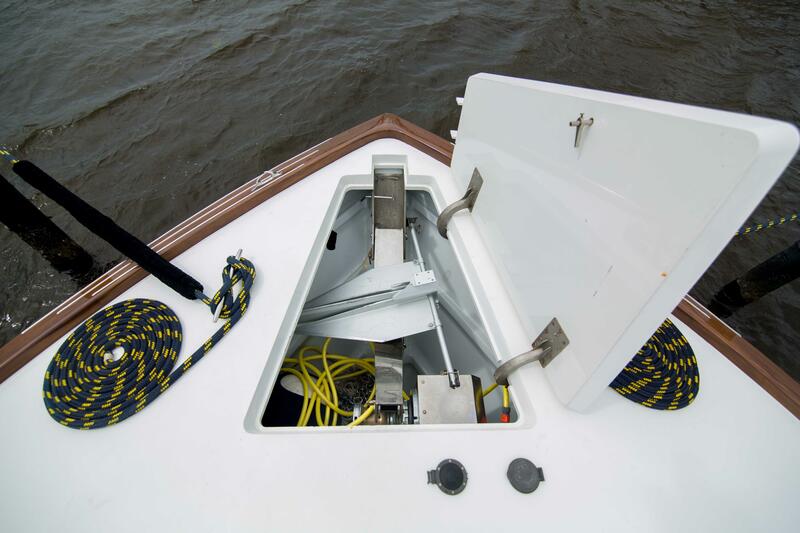 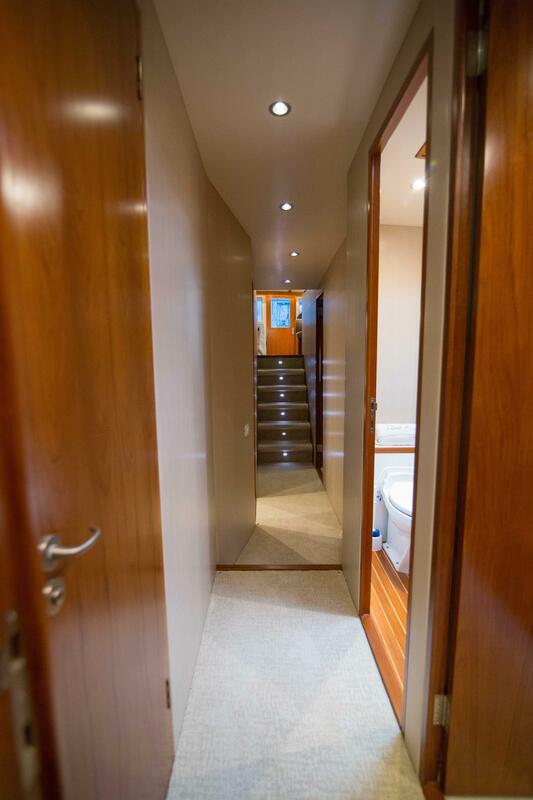 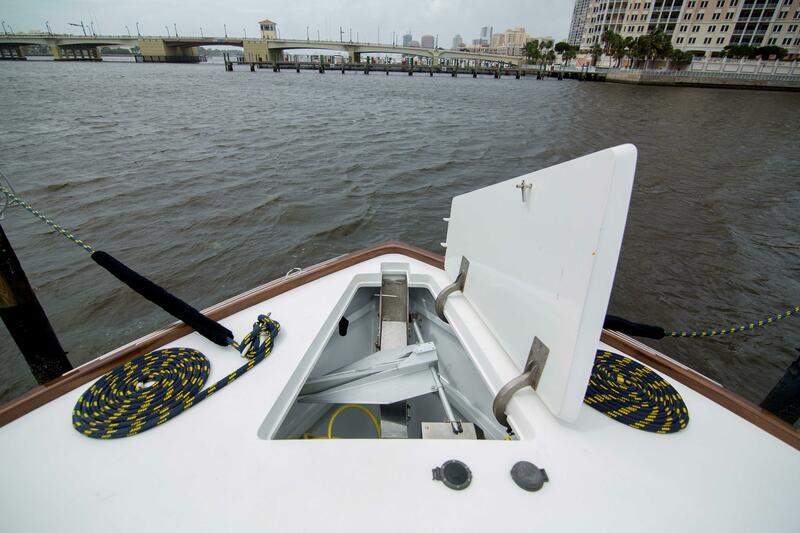 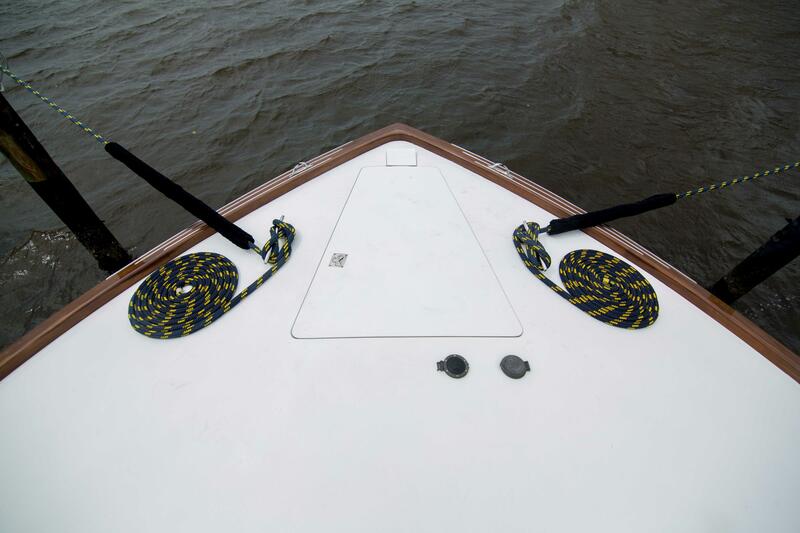 Entering the Salon through the Electric Door gives you and idea of a true hand built high pedigree custom Boat. 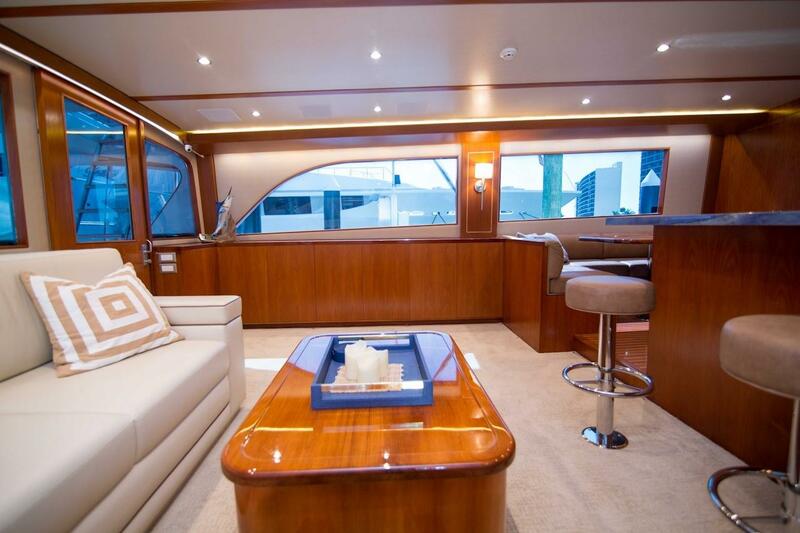 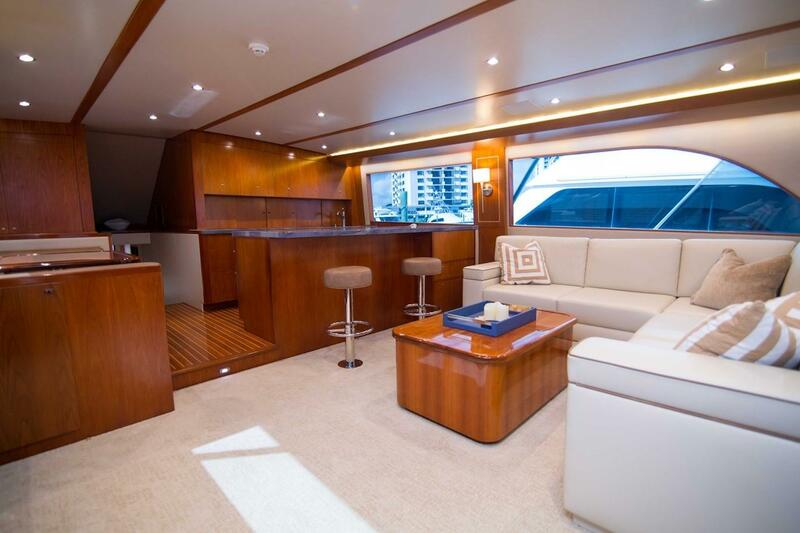 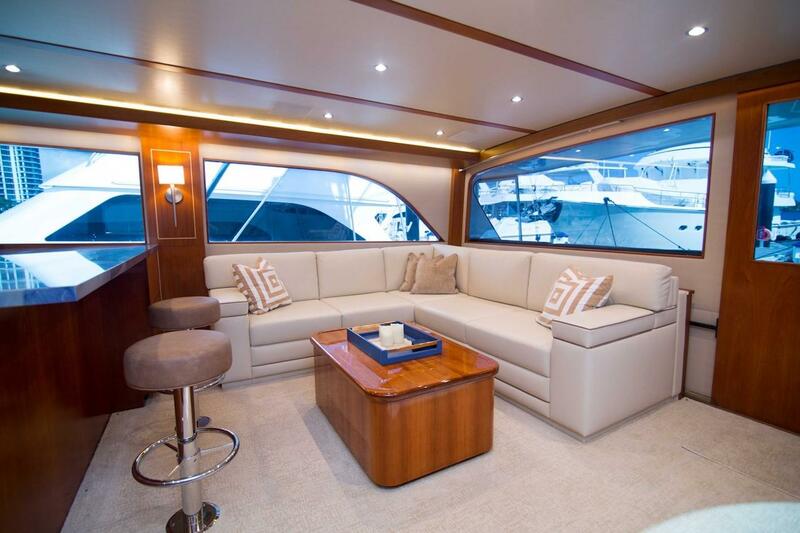 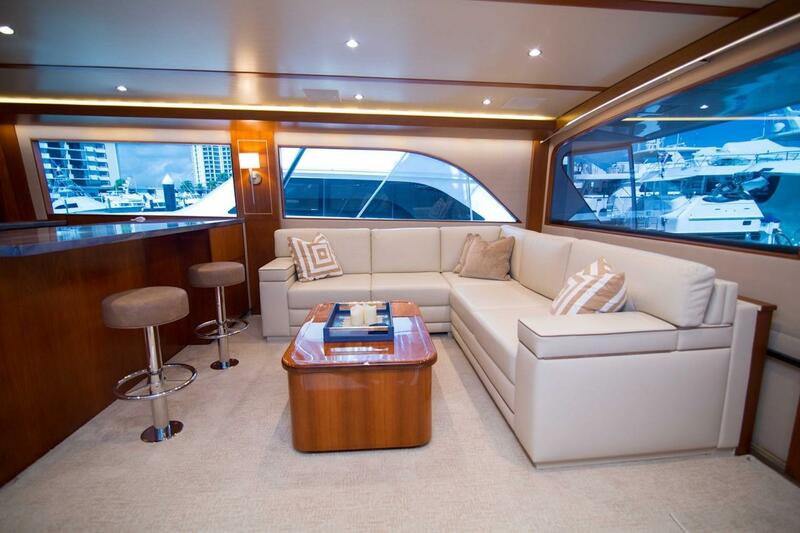 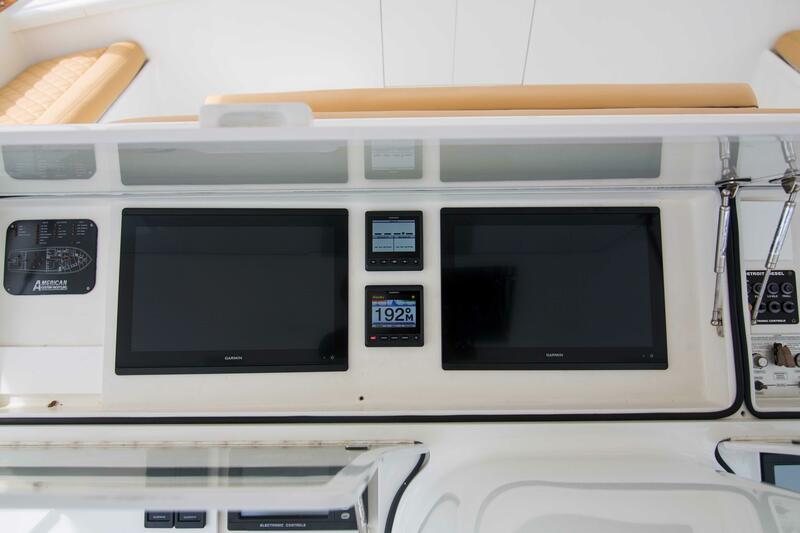 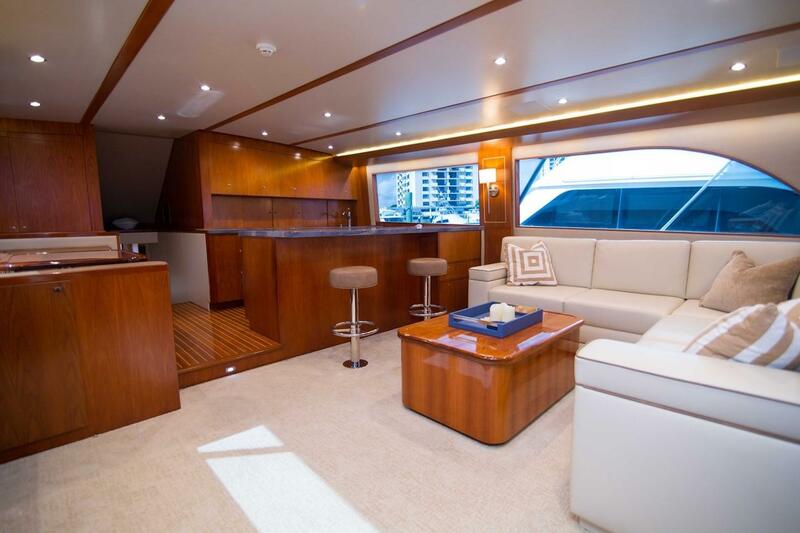 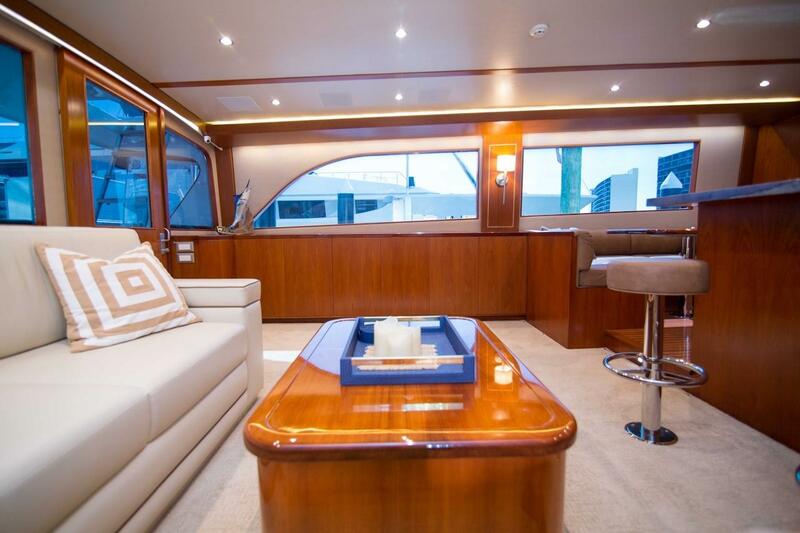 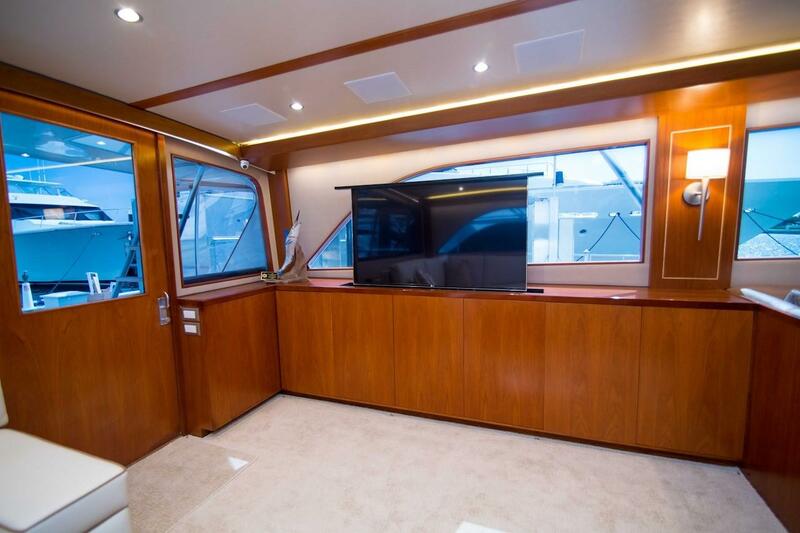 There is a 55" pop up TV to Port and a L shape Sofa to Stbd with a beautiful Teak Trunk Cocktail Table. 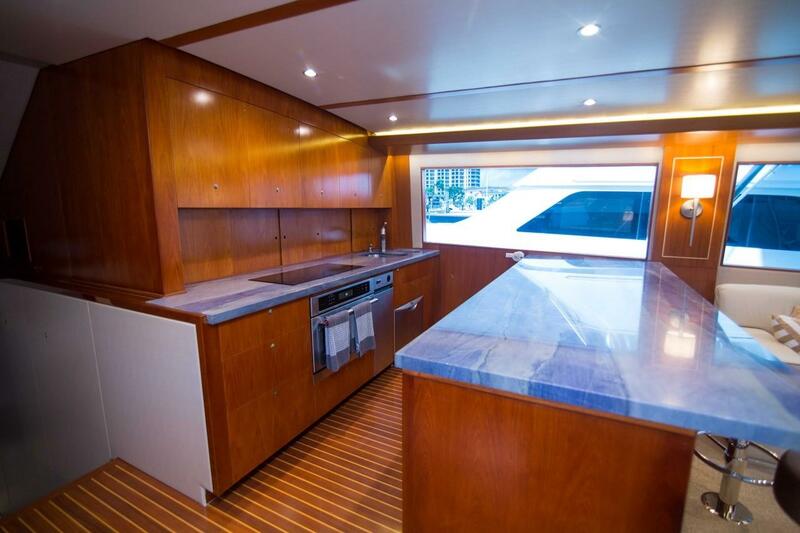 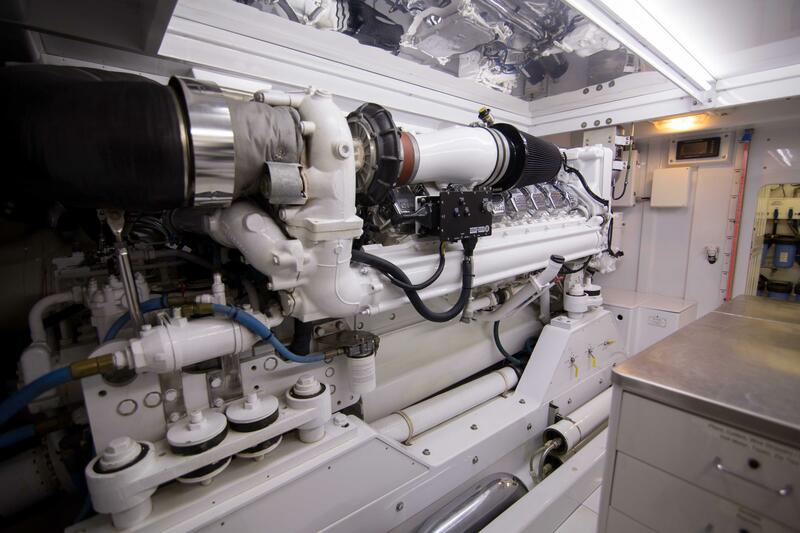 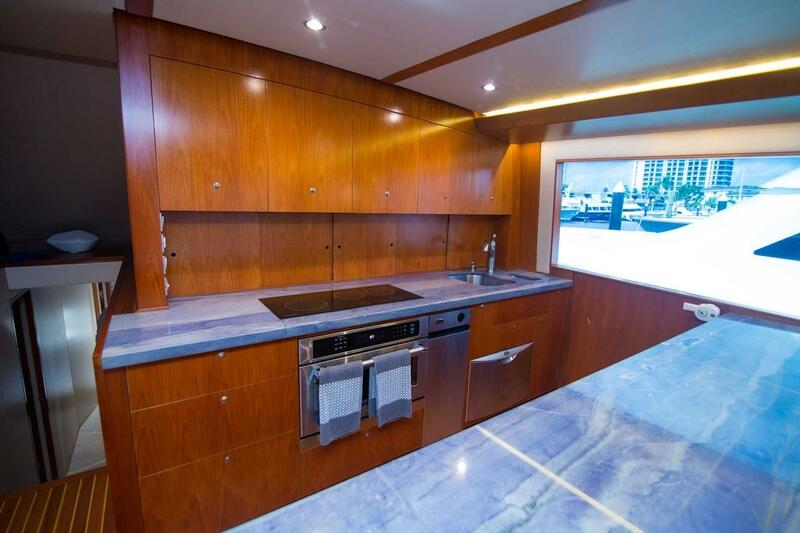 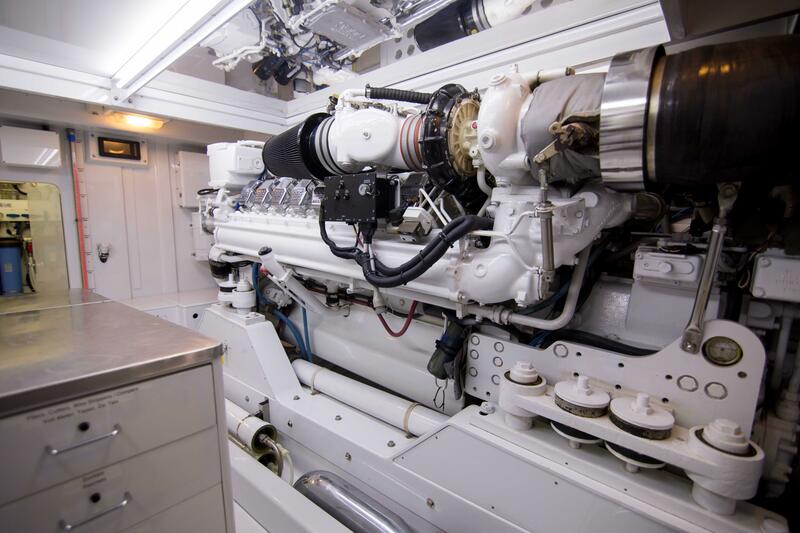 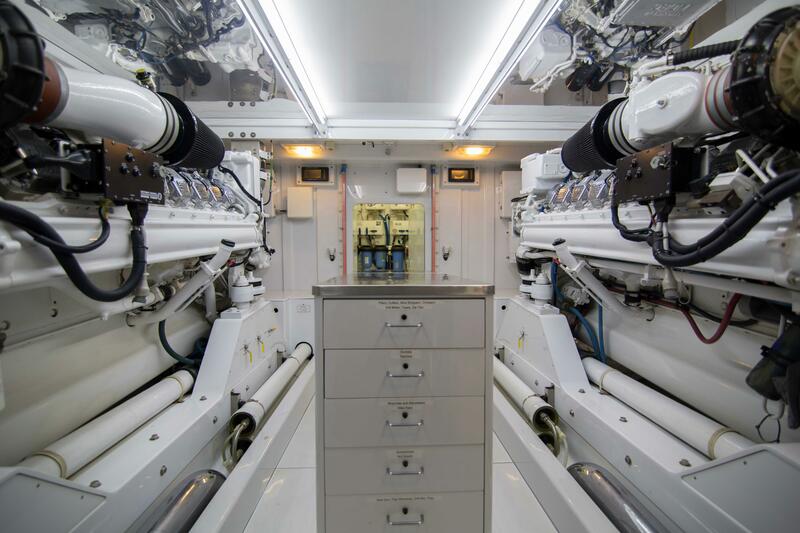 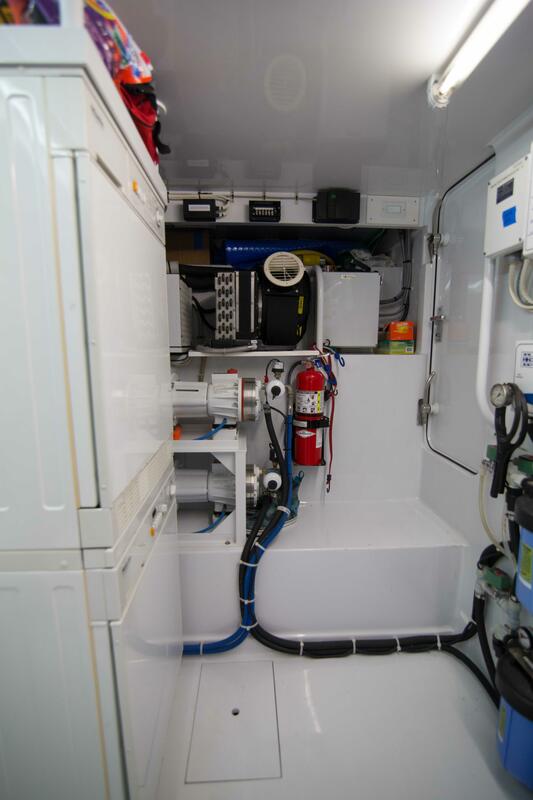 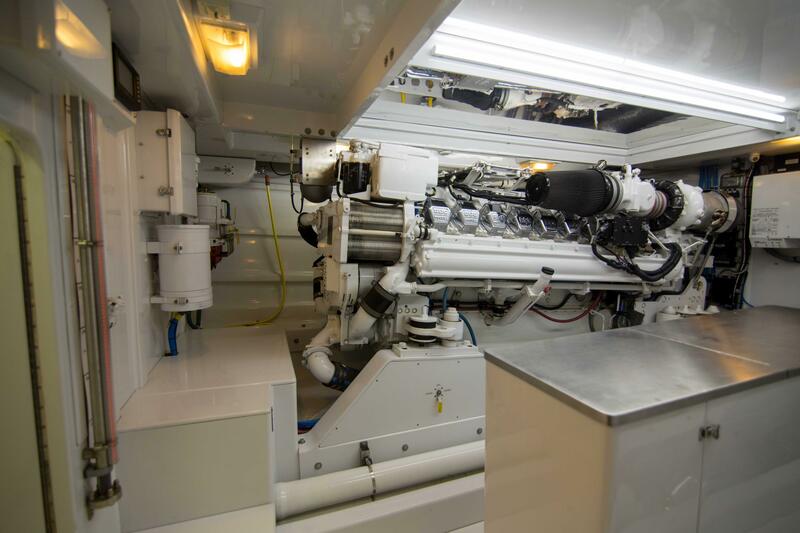 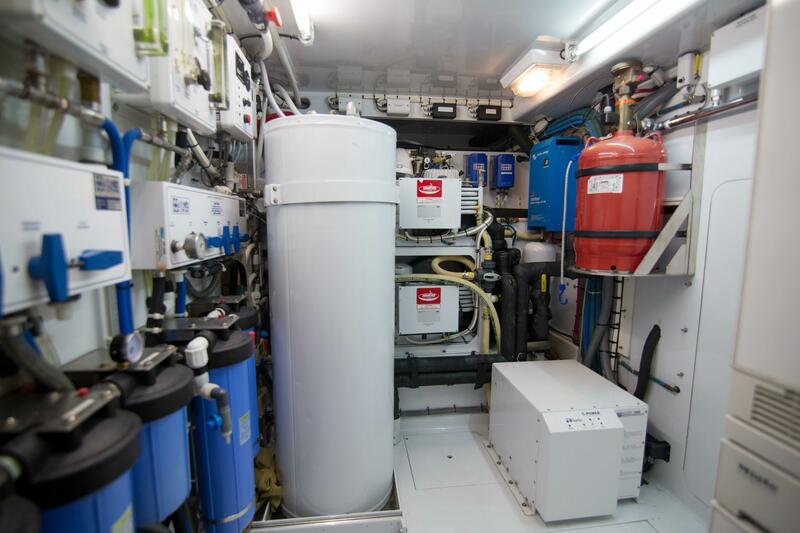 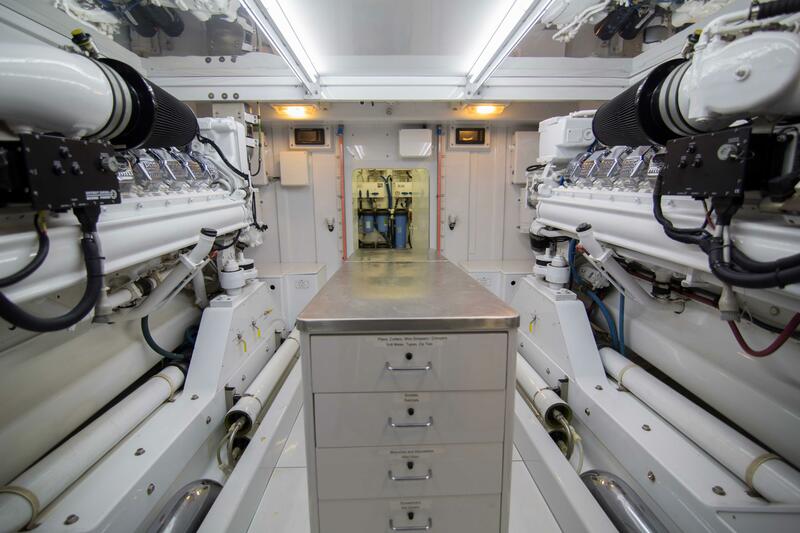 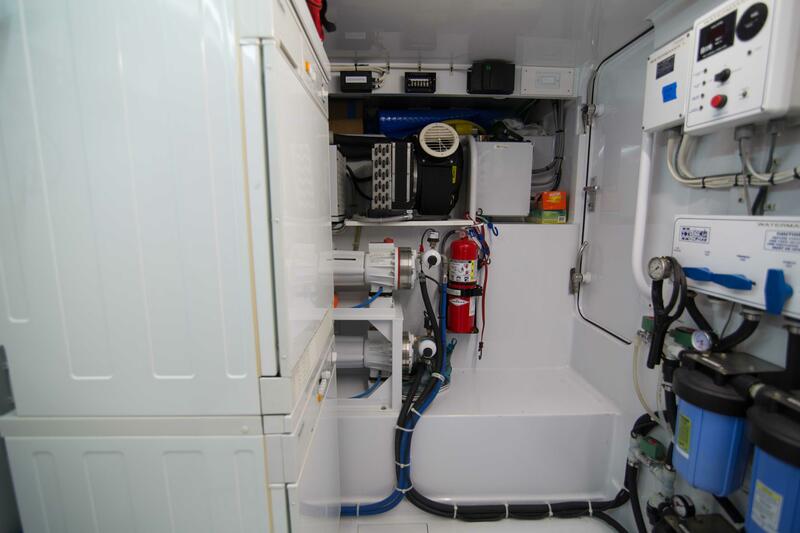 Forward on the Stbd side is the Galley with 4 Sub Zero Fridge Units and 2 Freezer Units , Wine Cooler , Trash Compactor , Dishwasher , Micro / Convection Oven , and more. 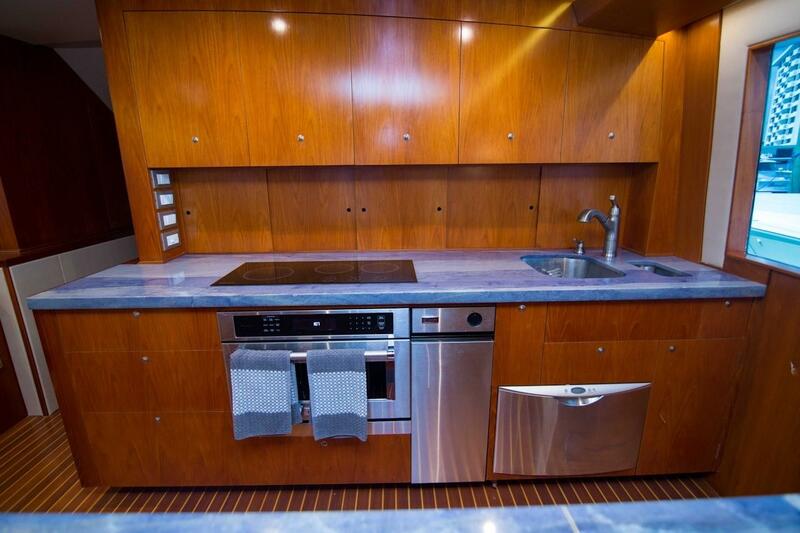 It is a true home away from home Cook place. 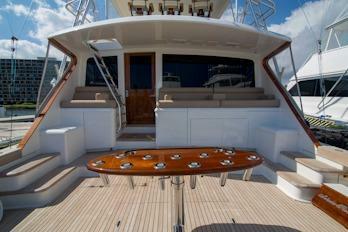 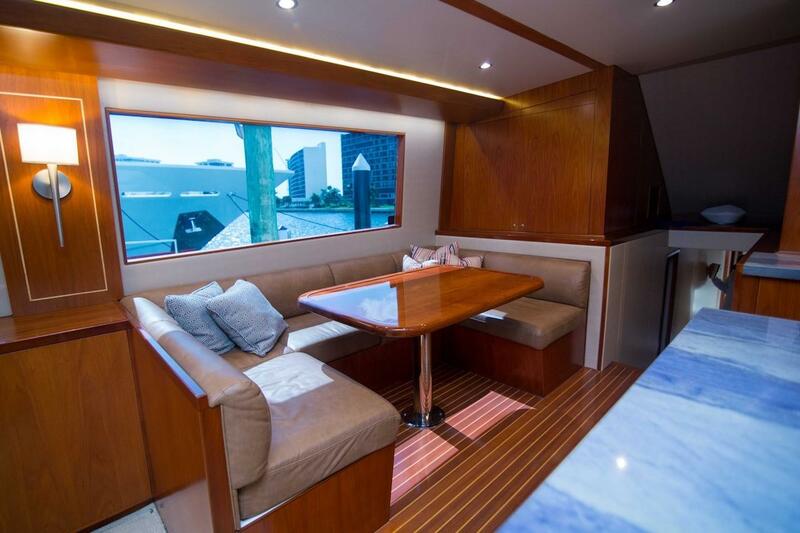 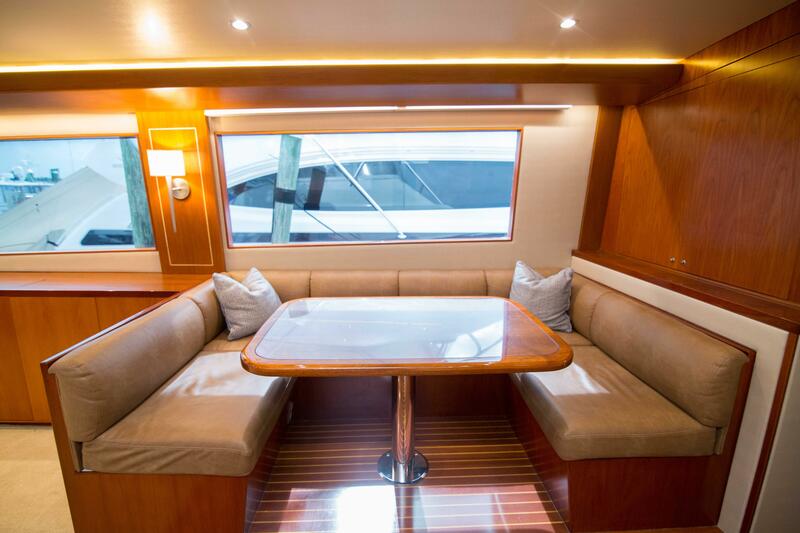 Forward on the Port side is the Dinette with Teak Table. 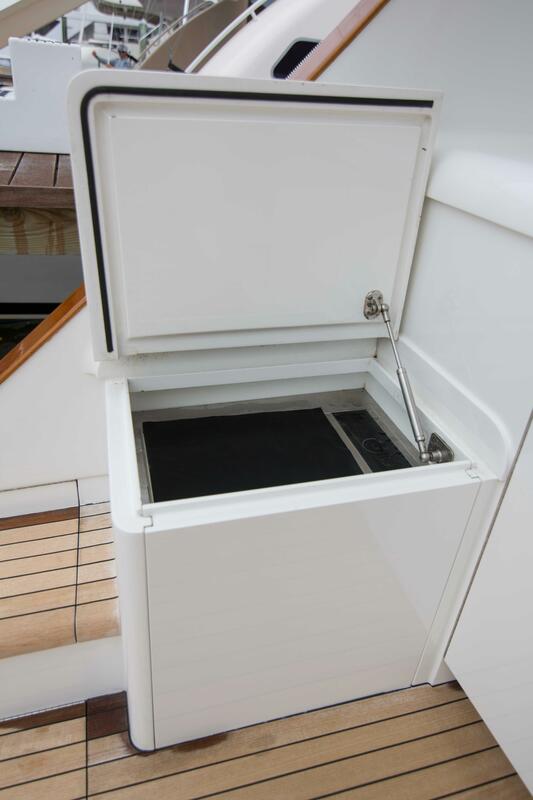 Moving forward down the Companionway Steps overhead in the Brow is a vast amount of Storage with a hidden Ladder. 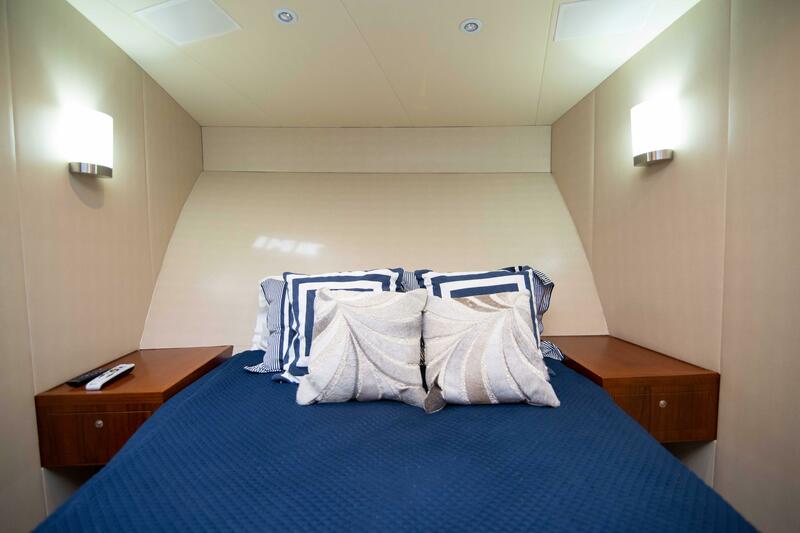 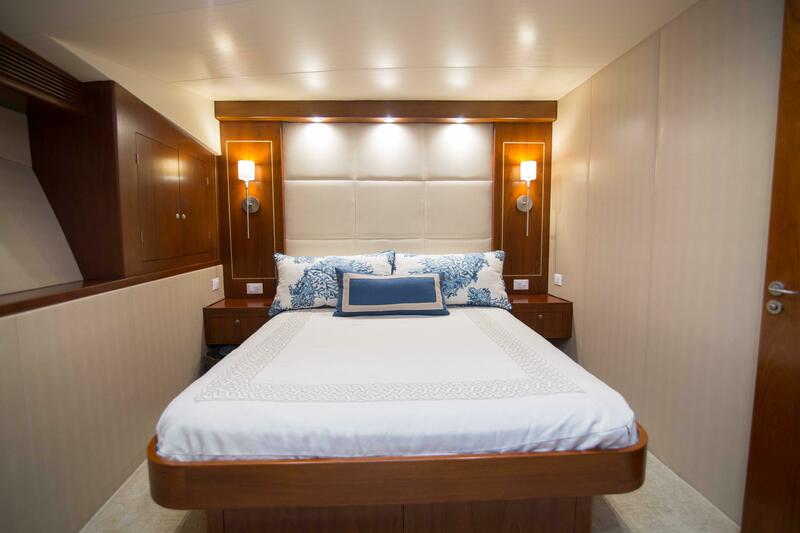 Once you are down the Steps immediately to Stbd is the Master Stateroom with Queen Berth , Flat Screen TV , Teak Nightstands , and Cedar lined hanging Closet. 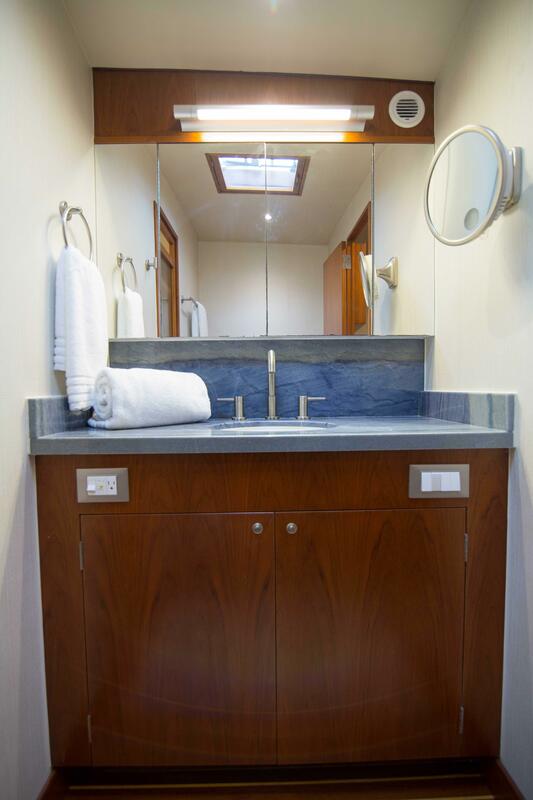 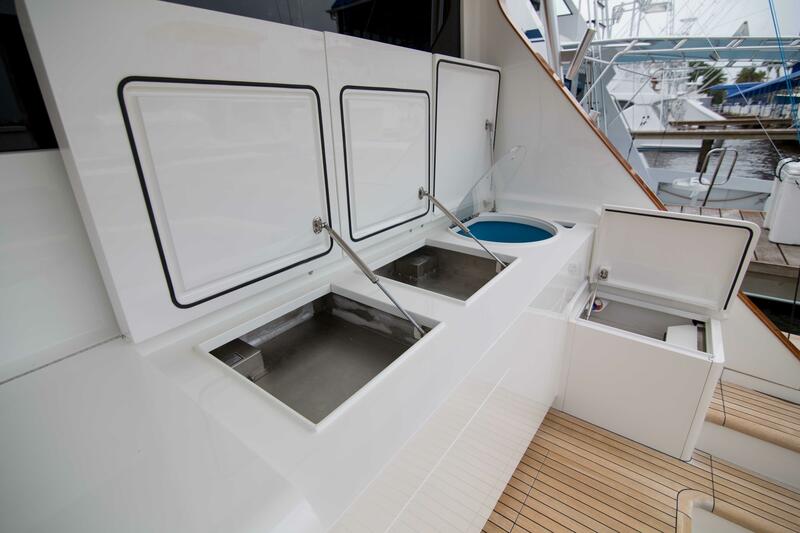 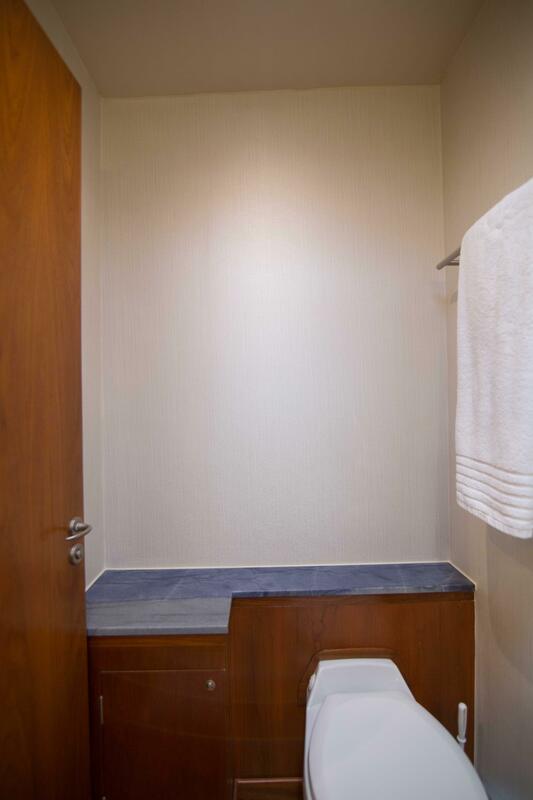 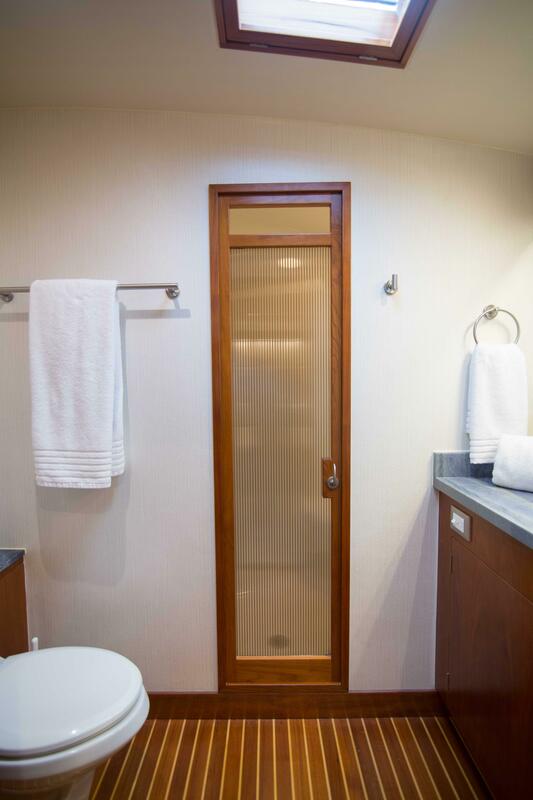 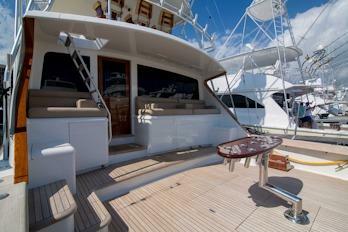 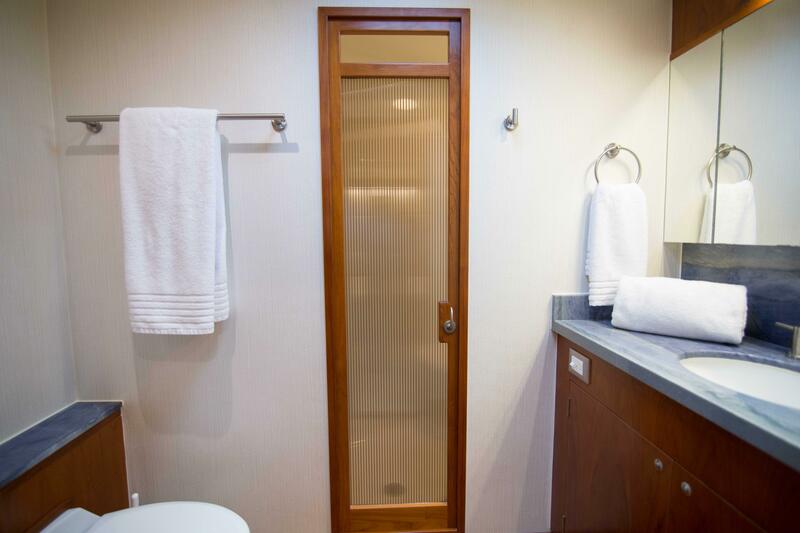 The Master also has a large Ensuite Bath with a large Shower , Teak Cabinetry , and plenty of Storage. 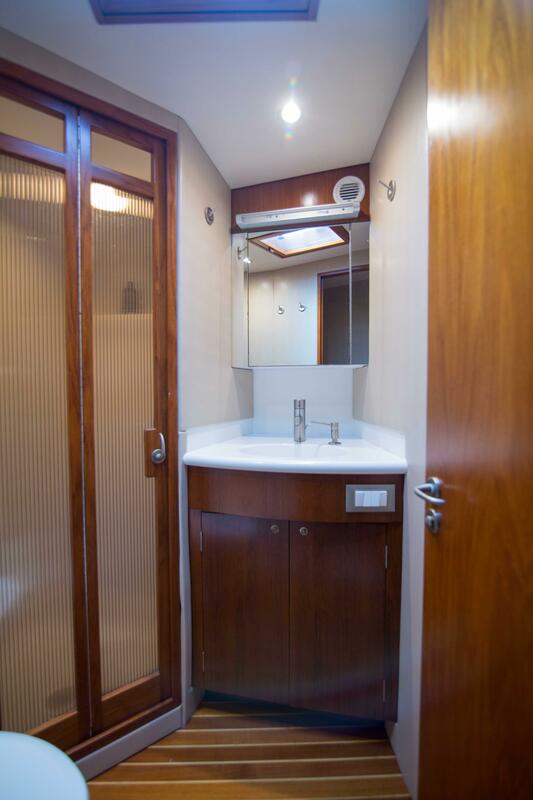 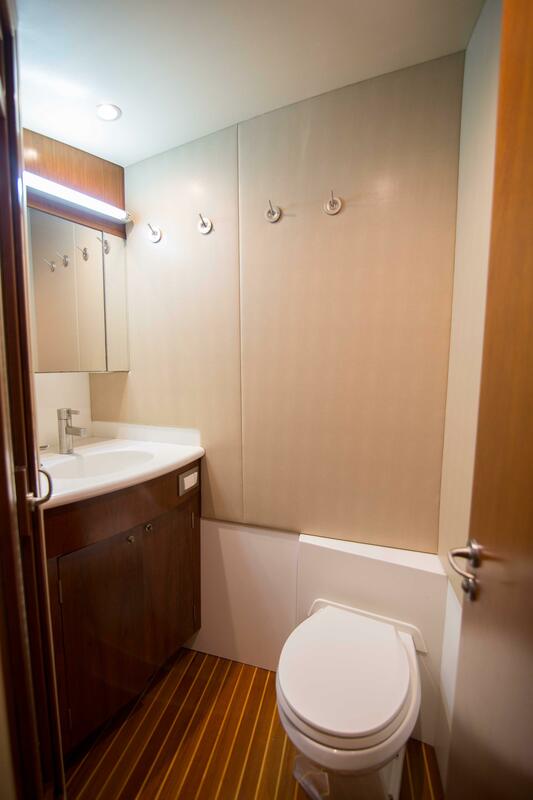 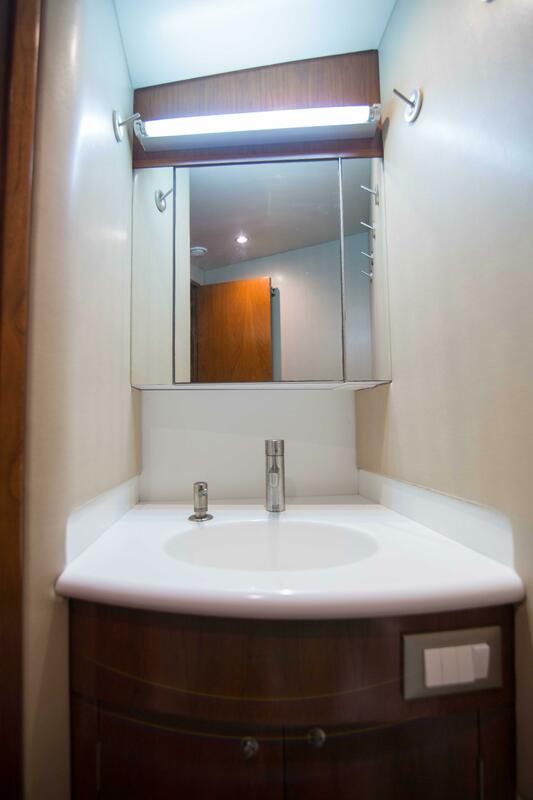 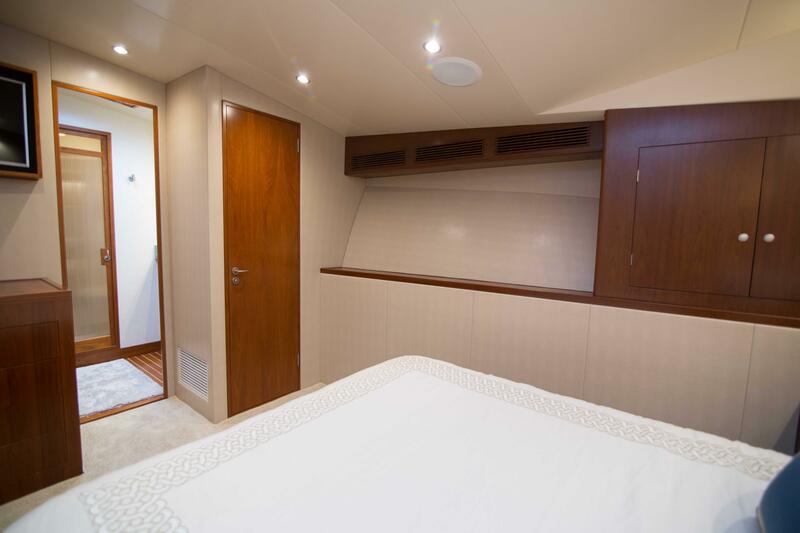 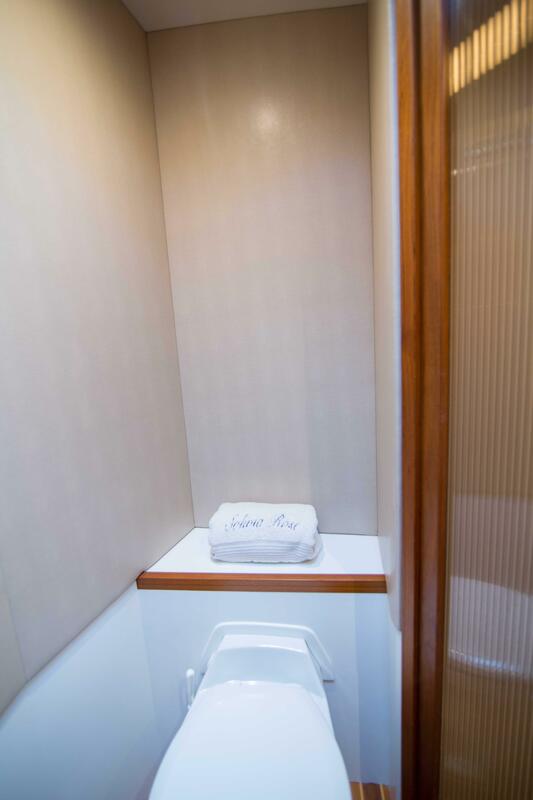 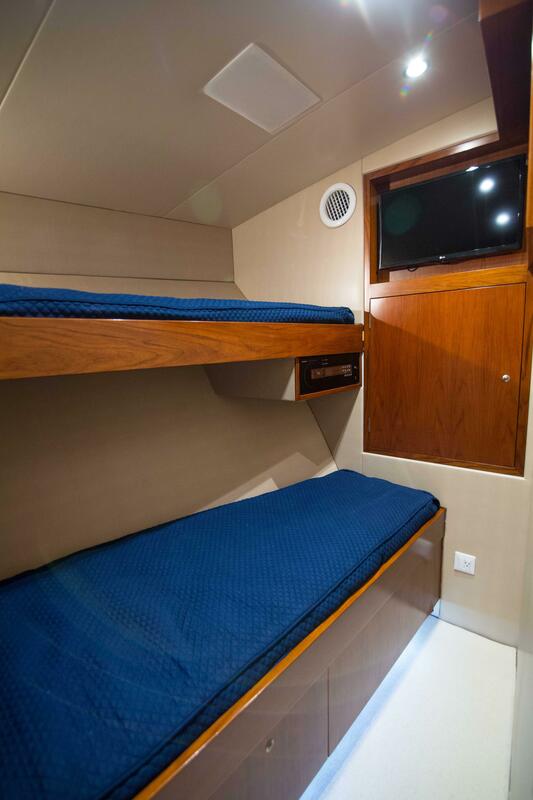 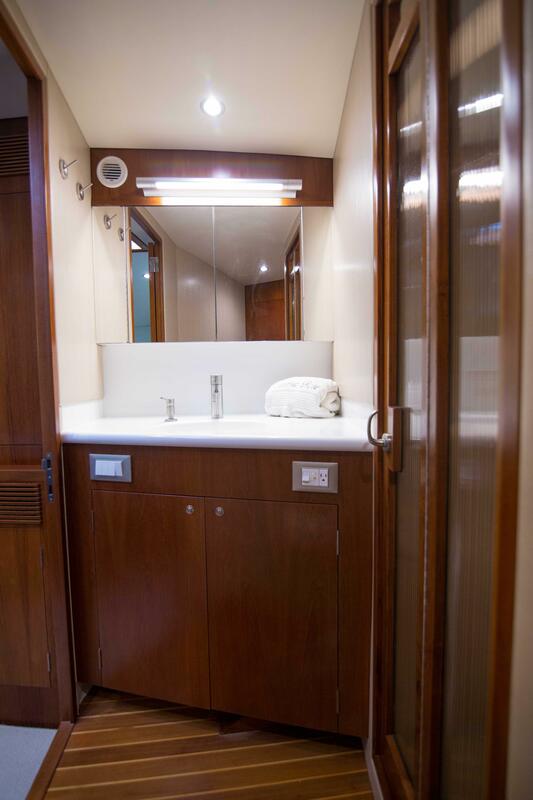 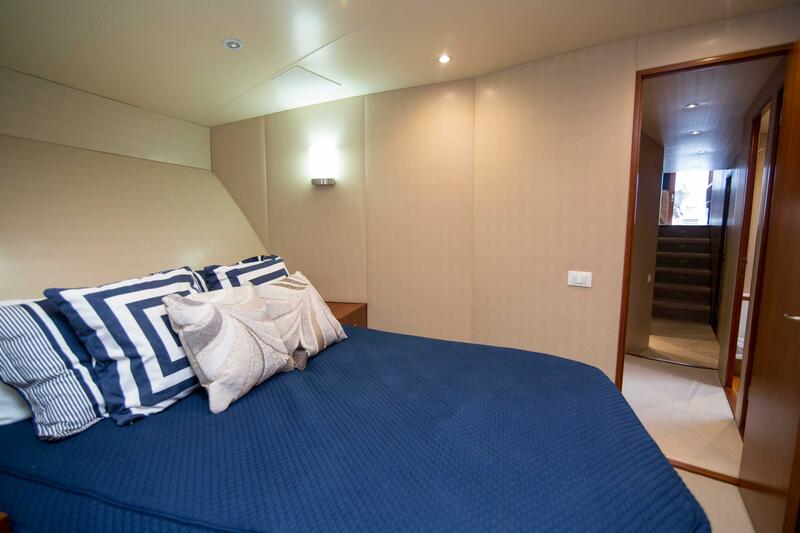 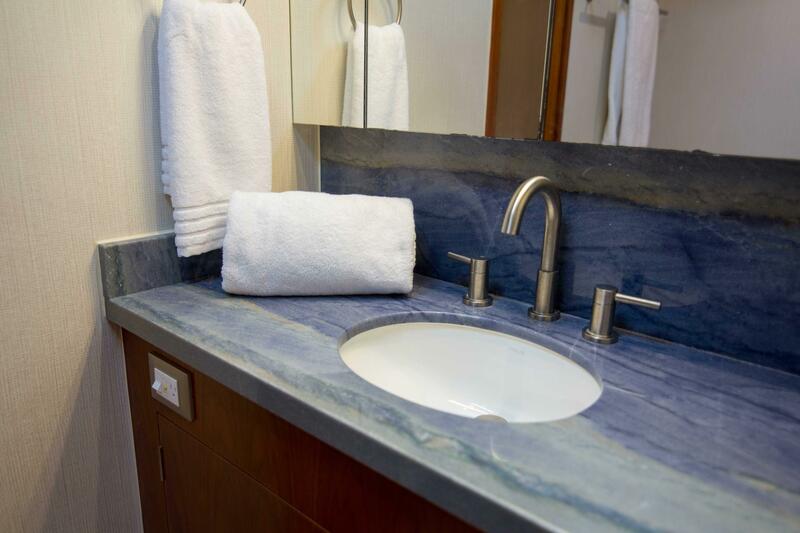 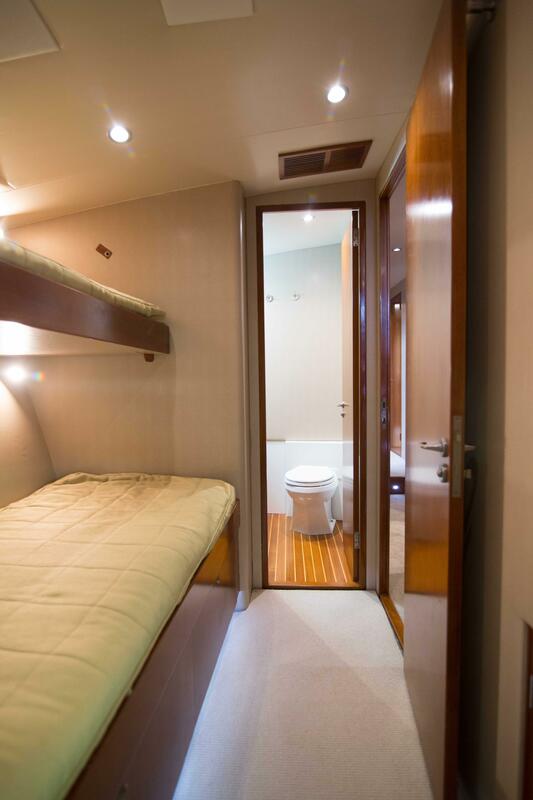 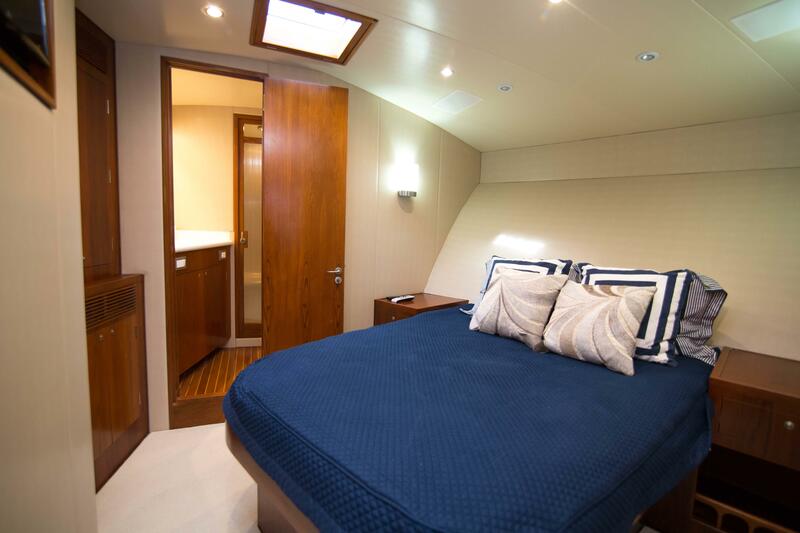 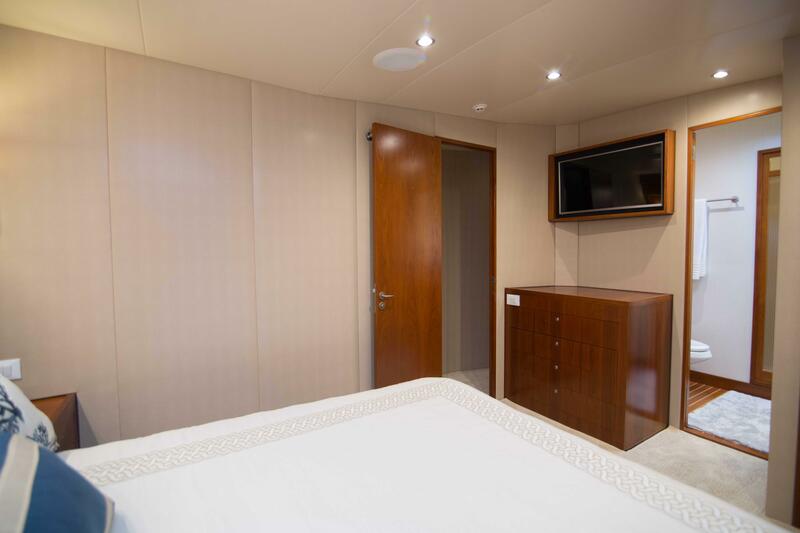 Opposite to Port is the Crew Stateroom that has a lower Berth and a Pullman Berth above and Ensuite Head and Shower. 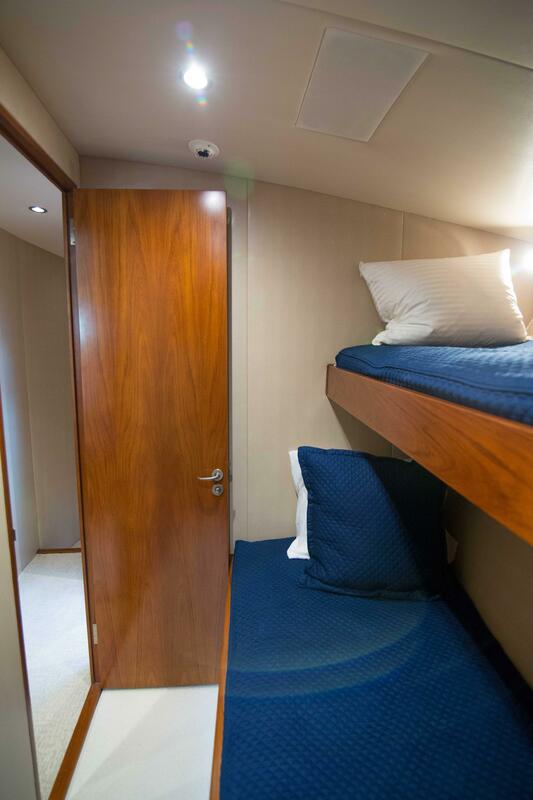 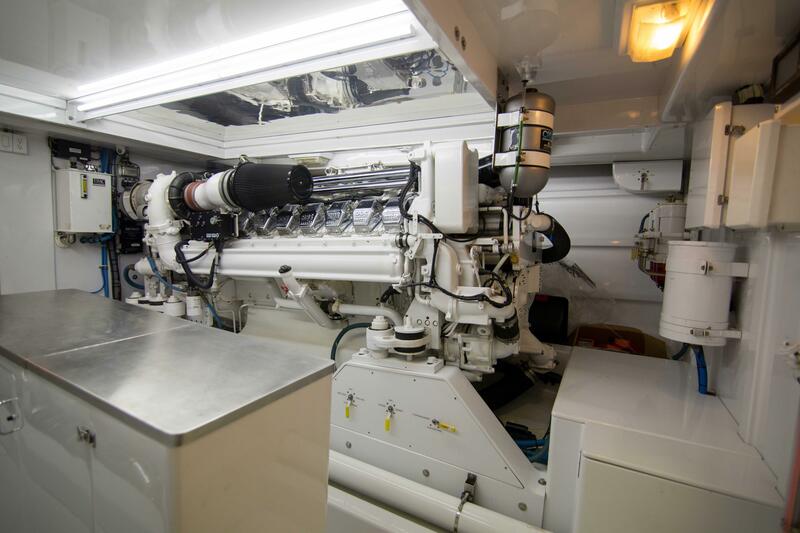 The Crew Room also has a Door to access the Engine Room. 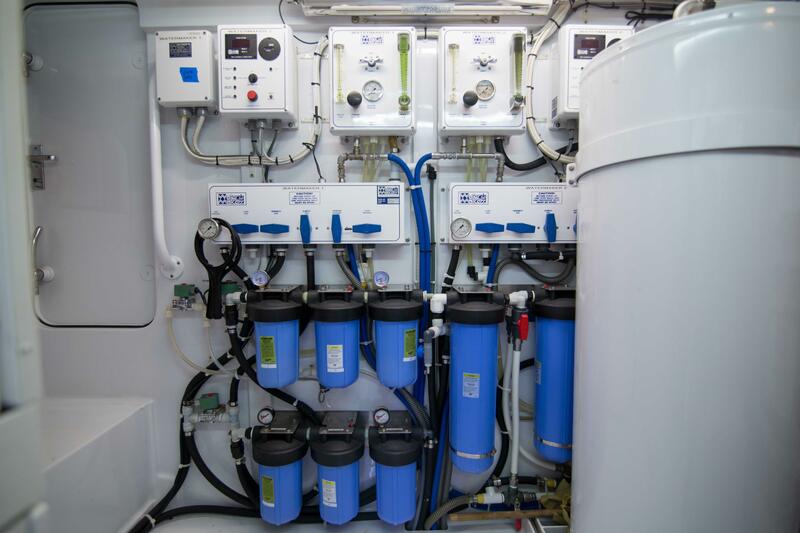 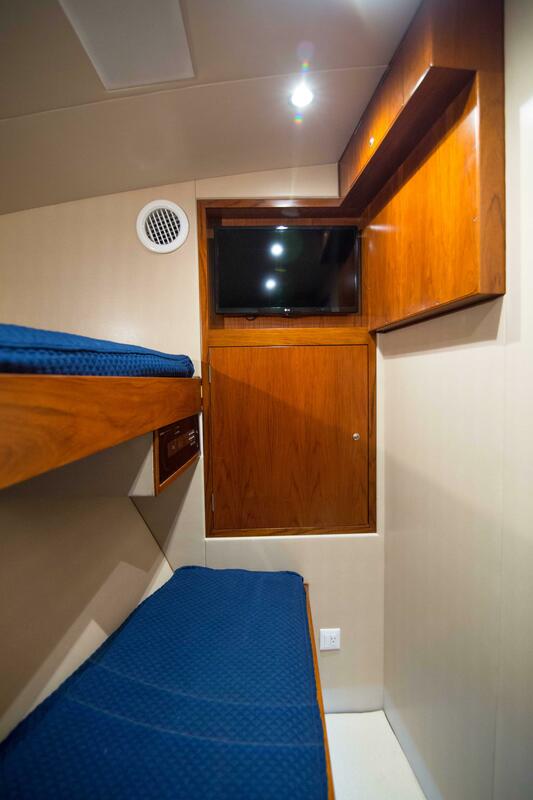 Staying on the Port side amidship is the Day Head and Shower and just forward of it is a Guest Stateroom with over under Bunks. 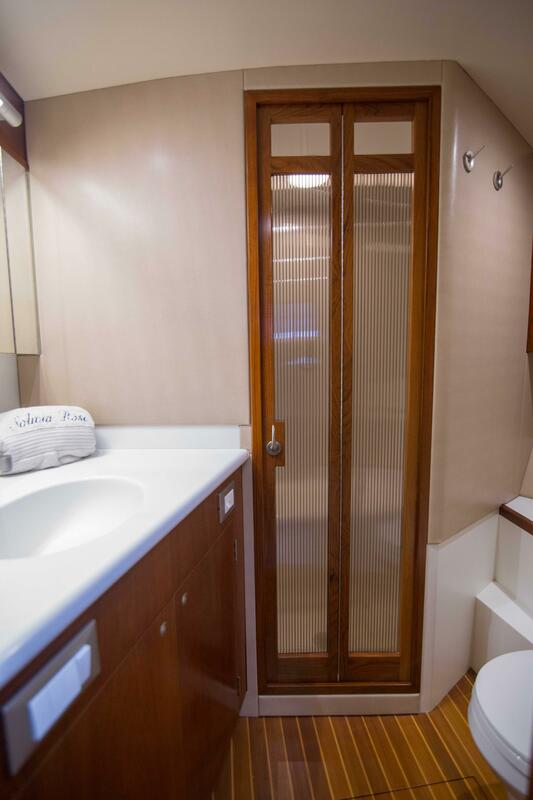 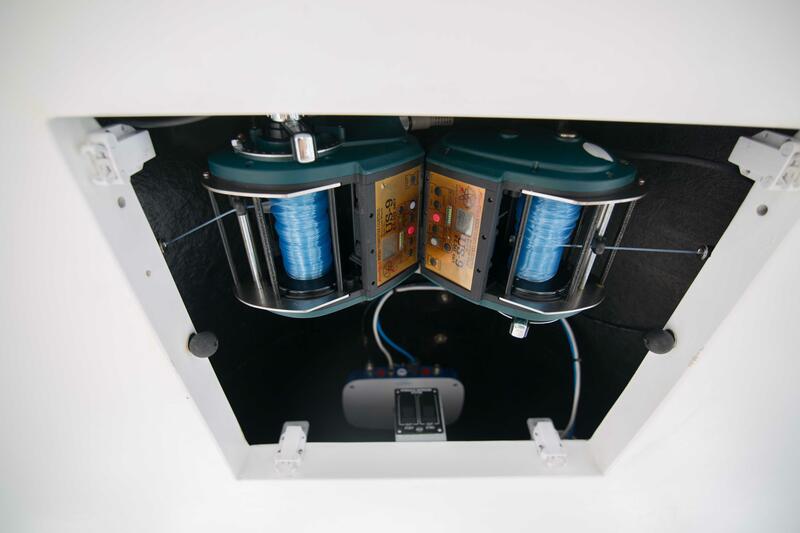 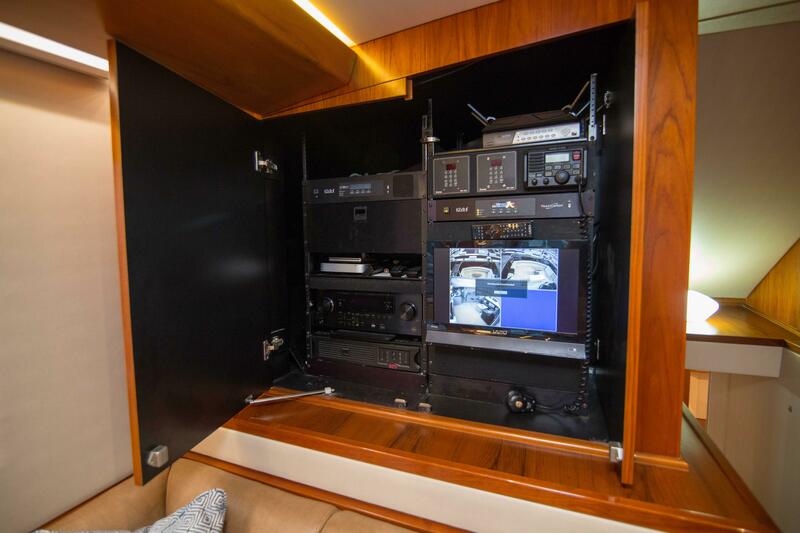 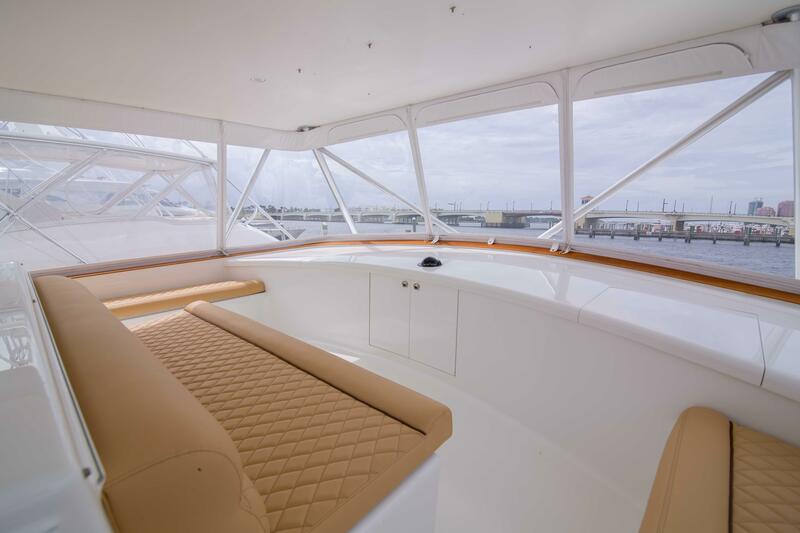 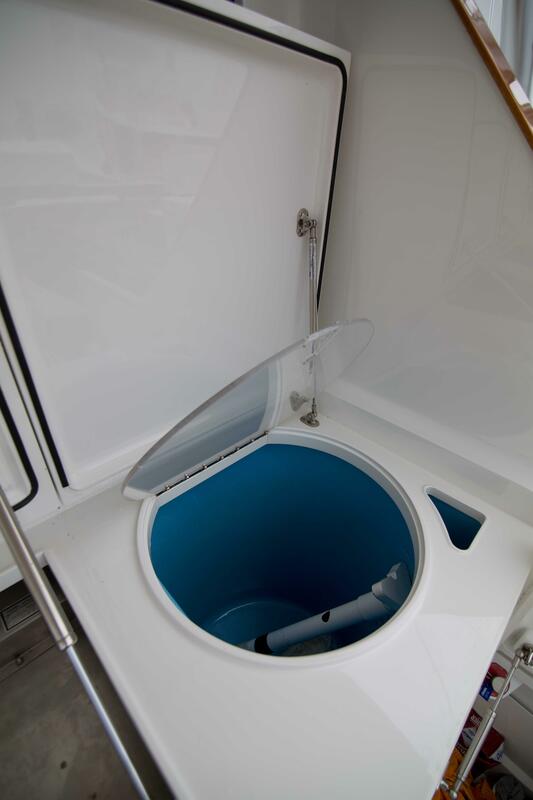 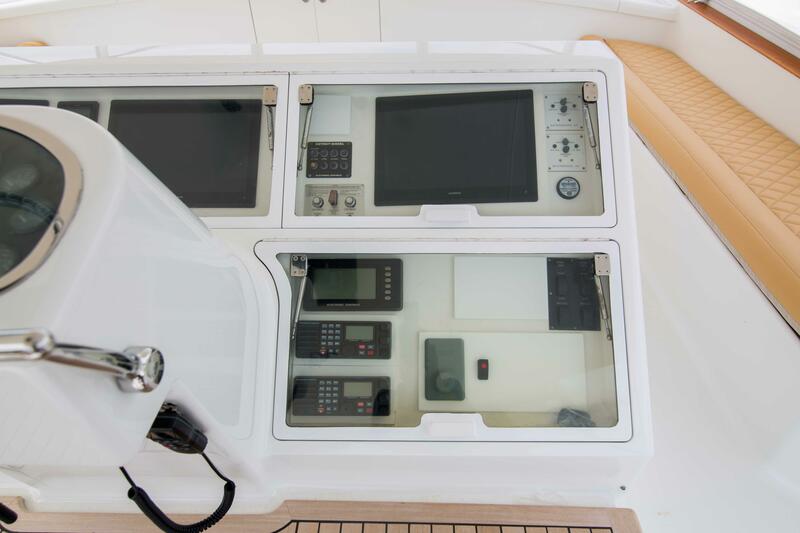 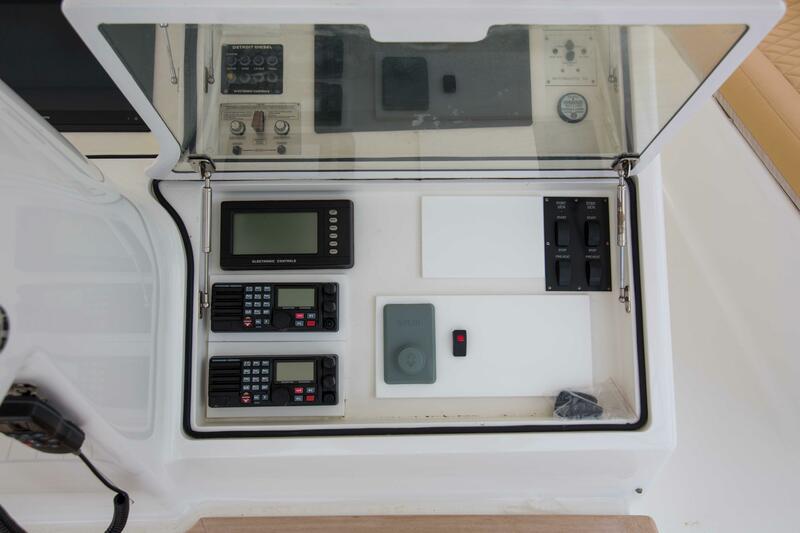 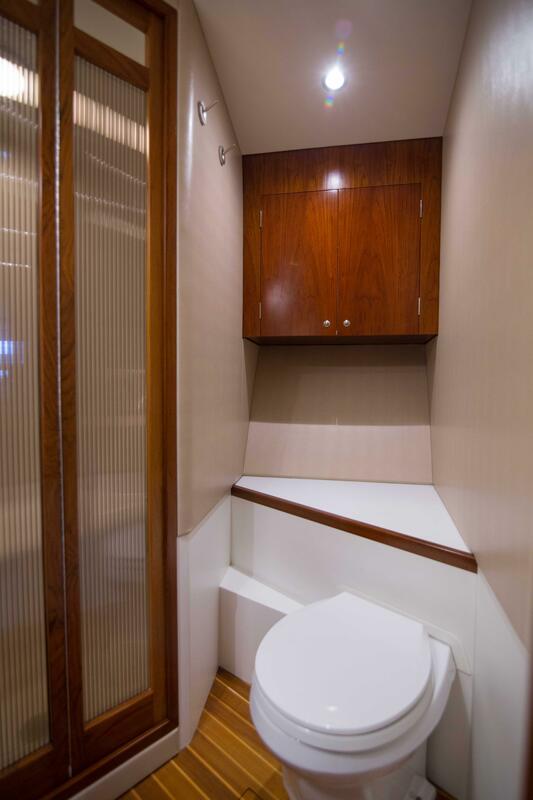 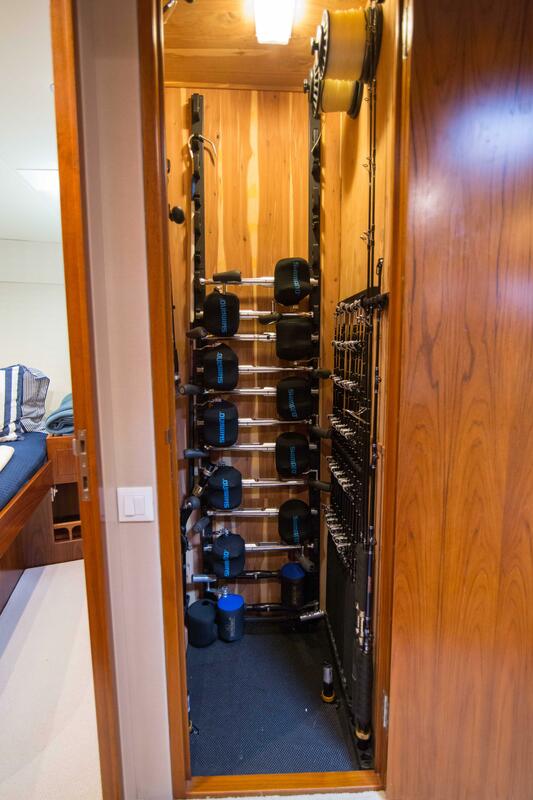 Opposite it to Stbd located in the Companionway is a Generous Cedar lined Tackle Closet. 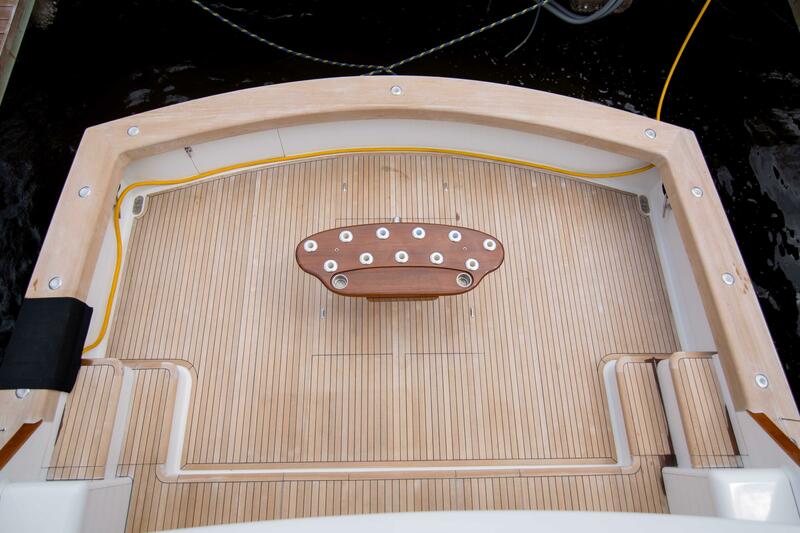 It will hold 6/ 20lb, 6/ 30lb ,6/ 50lb, Reels on Butts 24 Conventional Rods , 2 LP's , 6 Teaser Rods and 2 LP Spools. 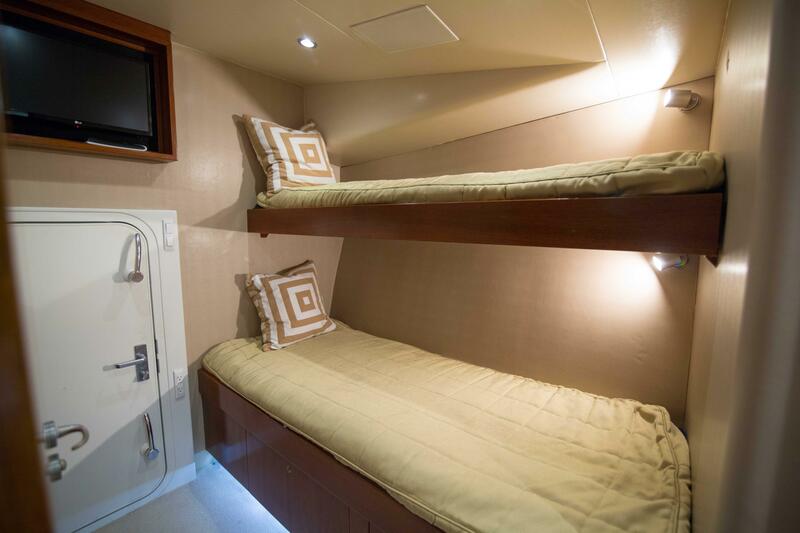 All the way forward is the VIP that would a Master Stateroom in other Boats of this size. 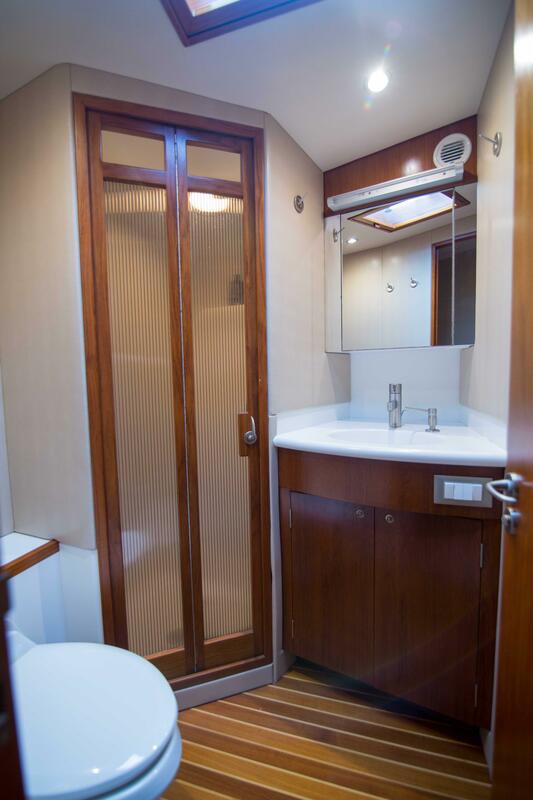 It has a Queen Berth Ensuite Head with Large Shower and Cedar Lined Hanging Closet. 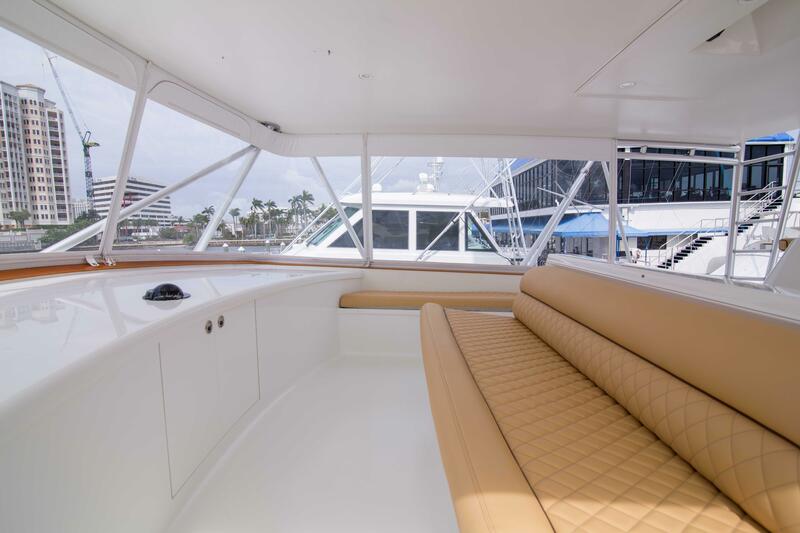 The 72 American is sure to delight even the most discriminating Buyer in every aspect.